Luzon is the biggest island in the Philippines, and where the National Capital Region is located. A first-ever show featuring three Japanese art forms will open on March 22, 2019 and will run up to March 25. Dubbed as Sanib Pwersa, the exhibit will feature around 200 bonsai trees from the members of the Philippine Bonsai Society, the country’s premiere and most prestigious bonsai club. PBSI is the lead organization, having mounted huge bonsai and suiseki (viewing stones) exhibitions and conventions annually, including exhibits hosted for the international organization called Bonsai Clubs International (BCI), regional conventions for ASPAC and for ABFF, plus national shows every year. 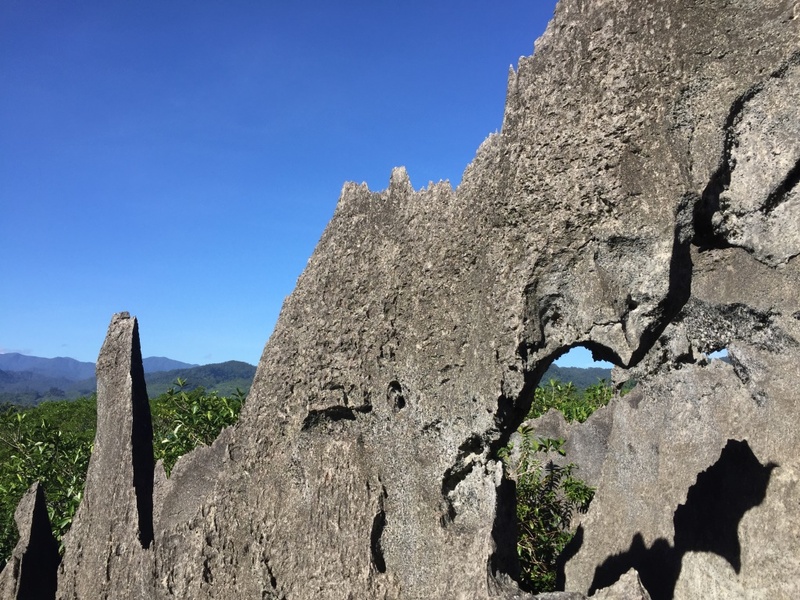 The 2019 exhibit is joined by partner clubs Natural Stones Society of the Philippines (NSSP) which will showcase suiseki, or landscape and figure stones collected from all over the Philippines and in other parts of the world, and the Ikenobo Ikebana Society of Manila which will display some ikebana arrangements. I am showing some of my viewing stones collections to give readers an idea of what suisekis are. The exhibit and competition will be judged by an international panel of masters and experts from Taiwan, Japan and the USA. Bonsai Master Yen, from Taiwan is one of the judges, alongside another Taiwan master and another master from Japan, Kunio Kobayashi. On the afternoon of the March 22 opening day, Master Kobayashi will do a live demo on how to create magnificent bonsais from raw trees. He will have Prof Amy Liang, another master from the National Bonsai Assn of Taiwan as partner in the demo. Here is how Master Kobayashi did his demo in the last national convention in Taiwan. There are lectures and demos from March 22 to 24. Learn from the masters. This is a very rare opportunity. The exhibit is open to the public, in partnership with SM Supermalls. Catch it at The Block Atrium, SM City North EDSA. This is a route I will advise the faint-hearted not to take. 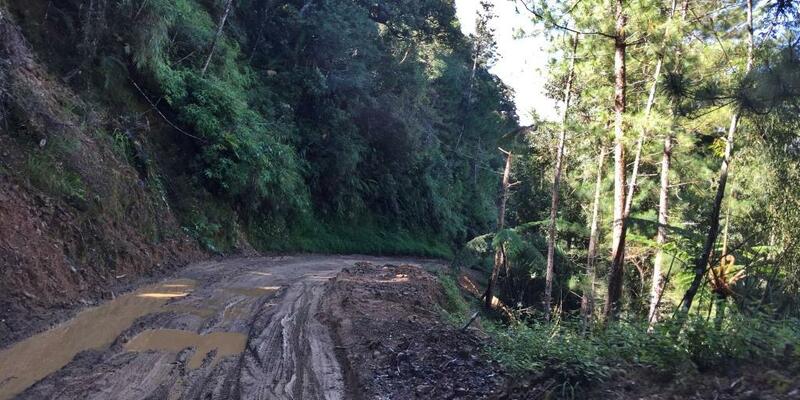 There are no phone signals in 85% of the route, the roads are non-existent in many parts, necessitating traversing thru narrow, muddy edge-of-mountain roads. 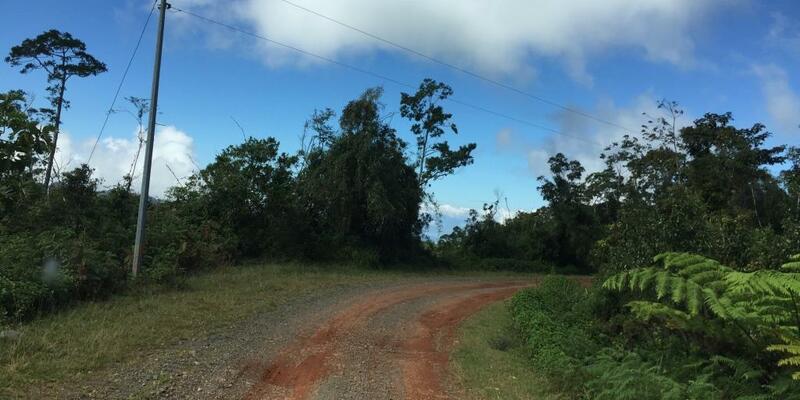 There are many stretches where the concrete roads are still good, but they suddenly disappear after the trip, one will remember only the narrow, muddy terrain. 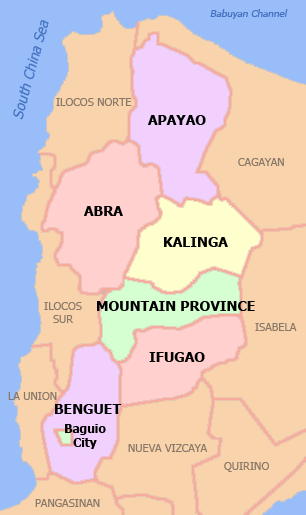 Kalinga and Abra are two provinces within the Cordillera Administrative Region, which also includes Apayao, Benguet, Ifugao, and Mountain Province. 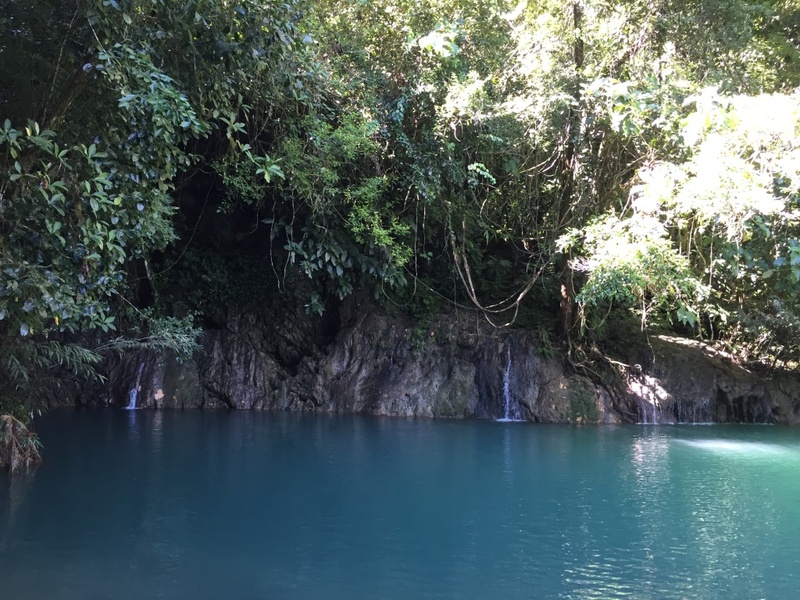 The only landlocked region in the country, it is bordered by the the Ilocos region in the west and southwest, by the Cagayan Valley on the north, east, by Isabela in the southeast, and by Pangasinan and Nueva Vizcaya in the south. 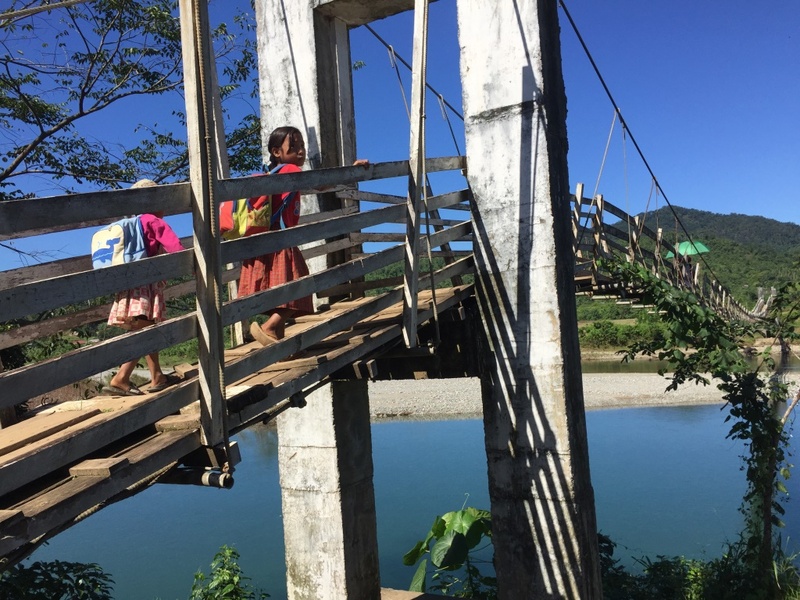 It is the least populated region in the country, and is home to numerous indigenous tribes such as the Kalingan, Isneg, Tinggian, Ifugaos, Kankanaeys, Ibaloy, Bontoc, Bago, Illian, Baliwon and many others. Collectively they are called Igorots. 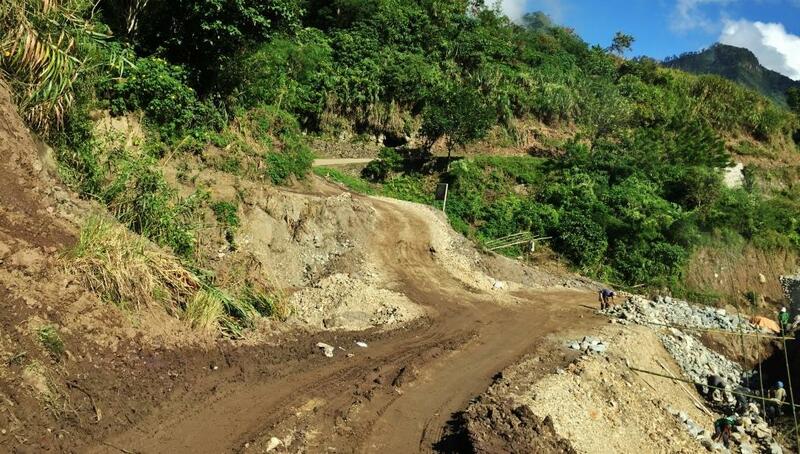 But despite being centrally located between between the much-visited Ilocos Region and the high-tourist-traffic Cagayan Valley which is popular for centuries old churches and exotic beaches , the provinces in the Cordilleras have limited entry points from neighboring towns and cities due to its topographic configuration mostly of steep slopes and mountain ranges. Abra is accessed via Vigan, Benguet via La Union, Apayao, Kalinga, and Mountain province via the eastern Cagayan Valley and Isabela. 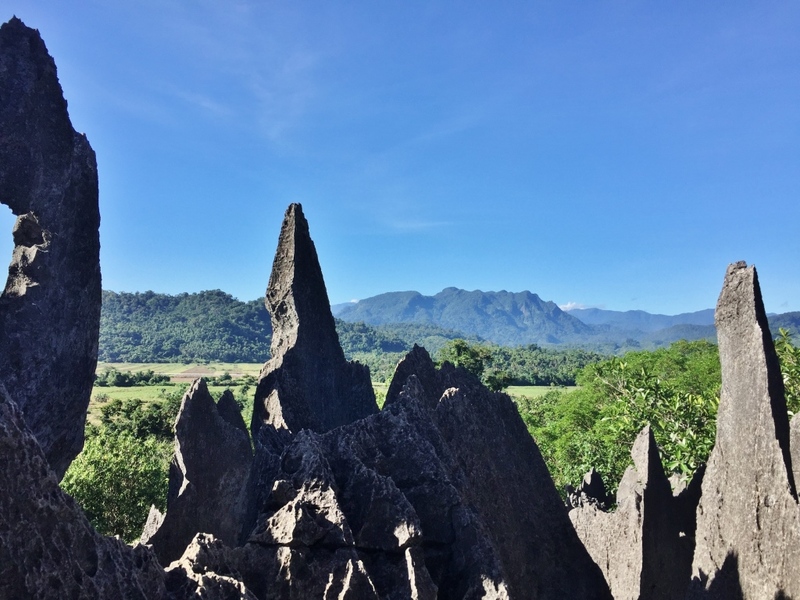 Yet, this unique topography of mountains, valleys and rivers make the region a must-visit for travelers seeking adventure and wanting to soak in a different culture one can only experience by meeting ethnic people from the hinterlands. On hindsight, I should not have taken a so unfamiliar route. But then maybe something in me craved for the uncertain. 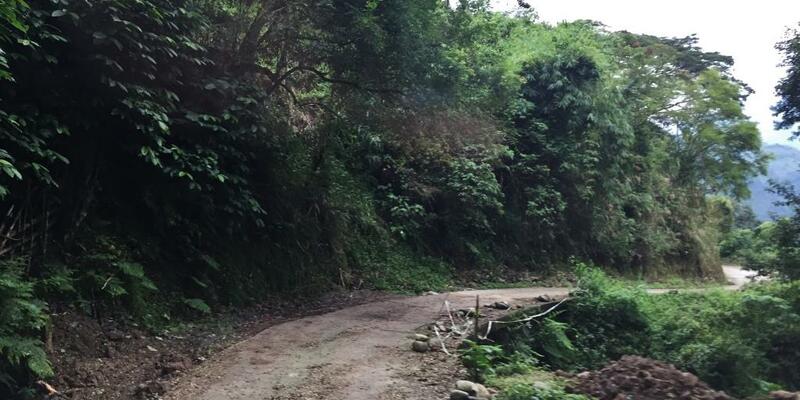 The sense of adventure started when I did the Apayao-Kalinga route, another road less traveled. 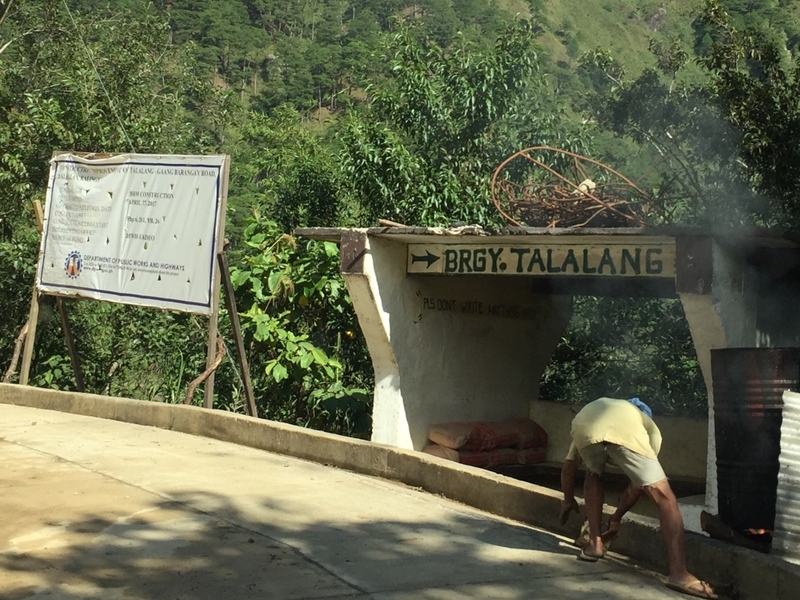 Normally, travelers would exit from Apayao from Luna town to Cagayan Valley, and enter Kalinga from there, via Tuguegarao. 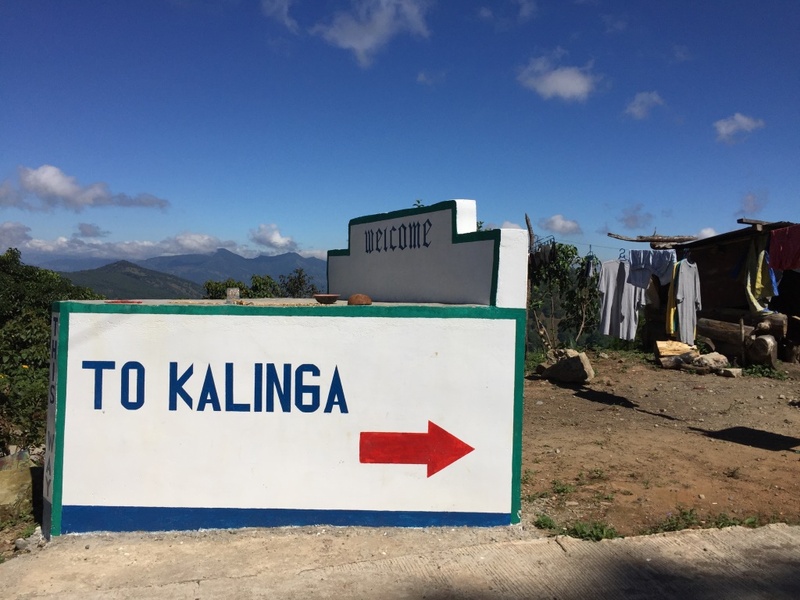 Instead, I took the mountain road to Kalinga, with traveler friends either advising me against it or warning me of the treacherous road, and that I must take extreme caution. But then again, maybe I just have a taste for roads that pose a challenge. 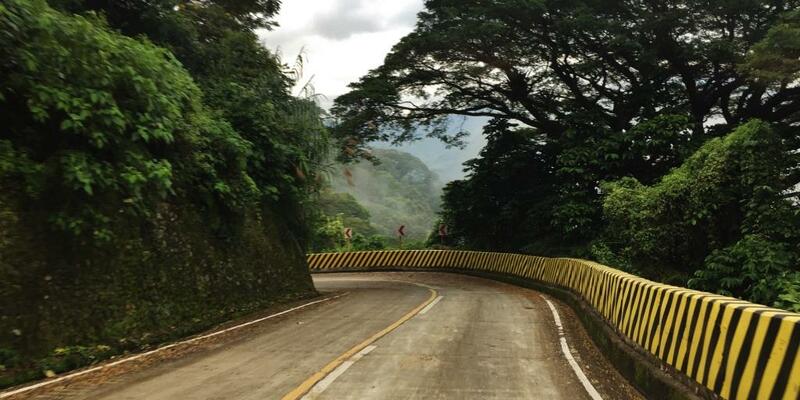 I went from Baler once to Manila via Bongabon, even while I could take the easy Pantabangan way. 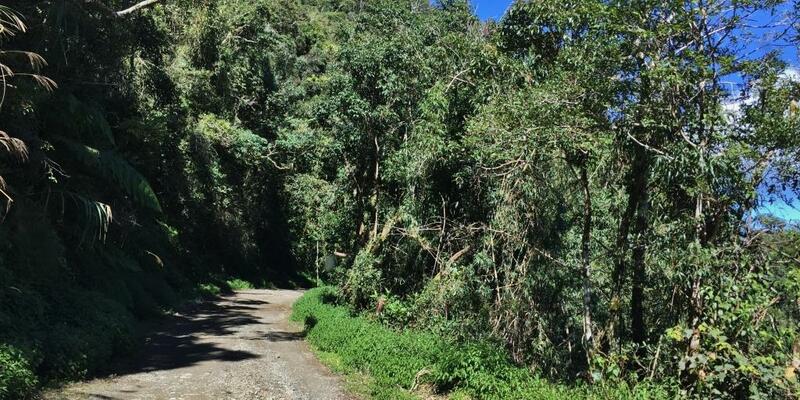 Yet, the lure of rugges roads in the rainforests thrilled me, so I drove my 4×4 then tru shallow rivers. On my last drive to this route, it is still beautiful, but now less exciting because the roads are now mostly paved. 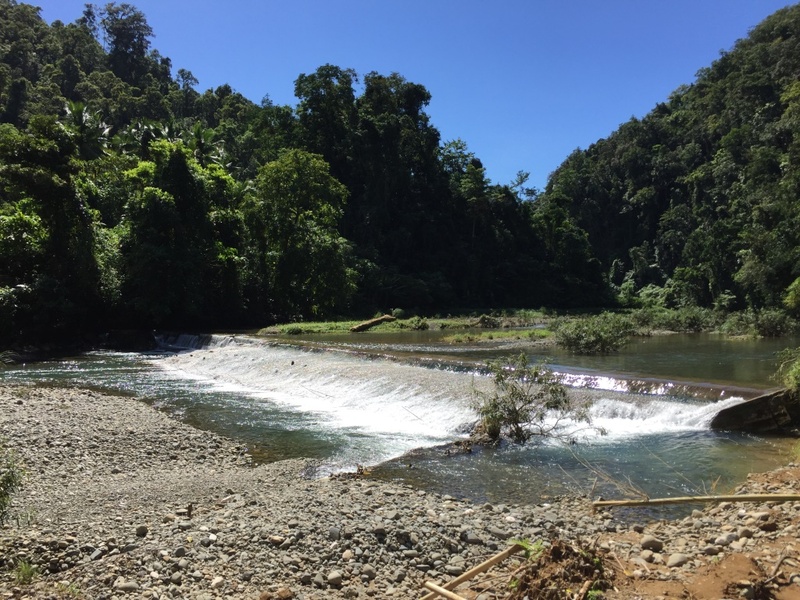 And have you tried going to Baler from Nueva Vizcaya, via Quirino? That was also some experience. I checked with locals. 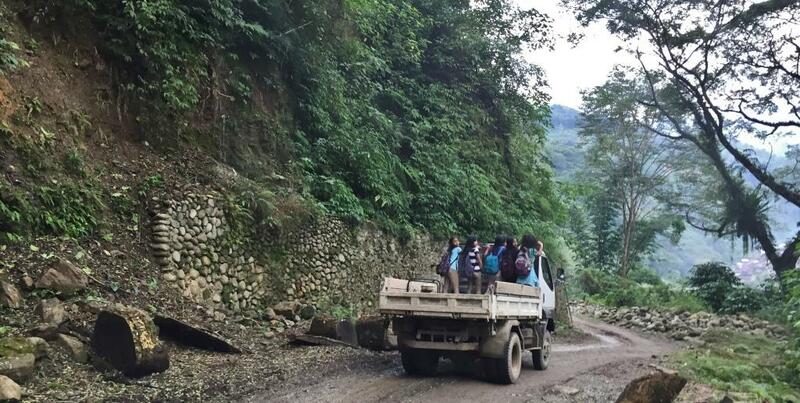 They said the route to Abra is via Balbalan. So some route exists. And it is only 173.5 kilometers. Hmmmm. So here I am, wanting to go to Abra via another road less traveled. My friends actually said maybe it is “roadless travel” when I told them about it. 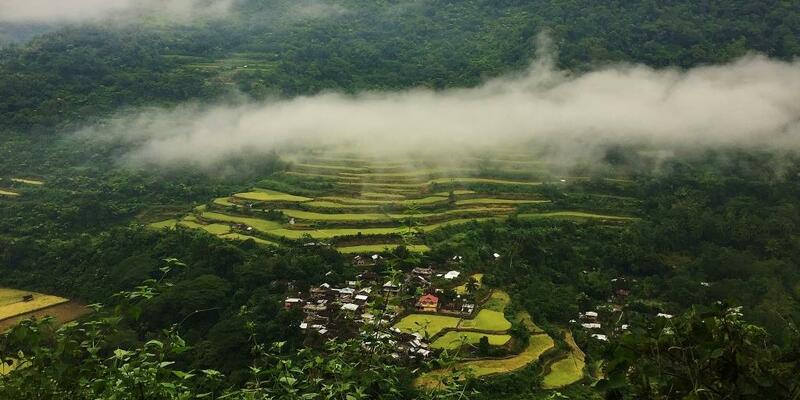 Kalinga province has rugged and sloping terrain, with mountains soaring to 2,500 meters. 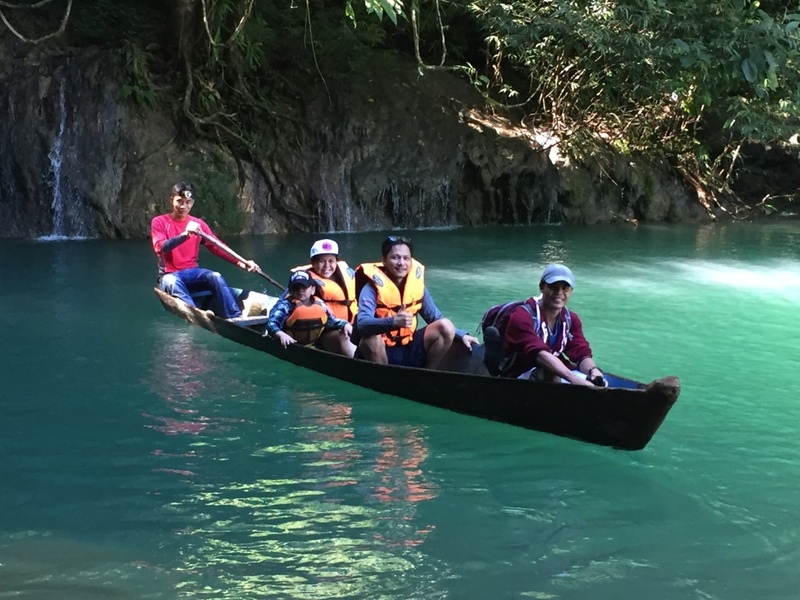 On its western side, which is on the route to its neighboring province of Abra, are sharp, rugged, inter-linking peaks of steep slopes, plateaus and valleys, and rainforests. 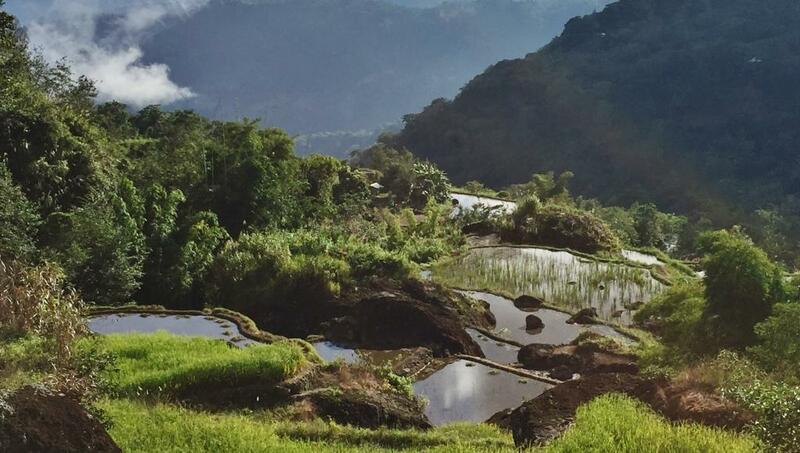 There are numerous rice terraces to awe visitors in the towns of Pasil and Balbalan. 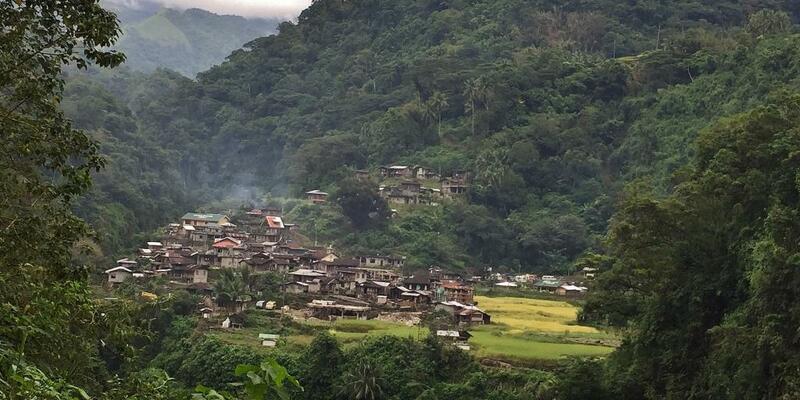 Abra is on the Western side of the massive Cordillera in Northern Luzon. 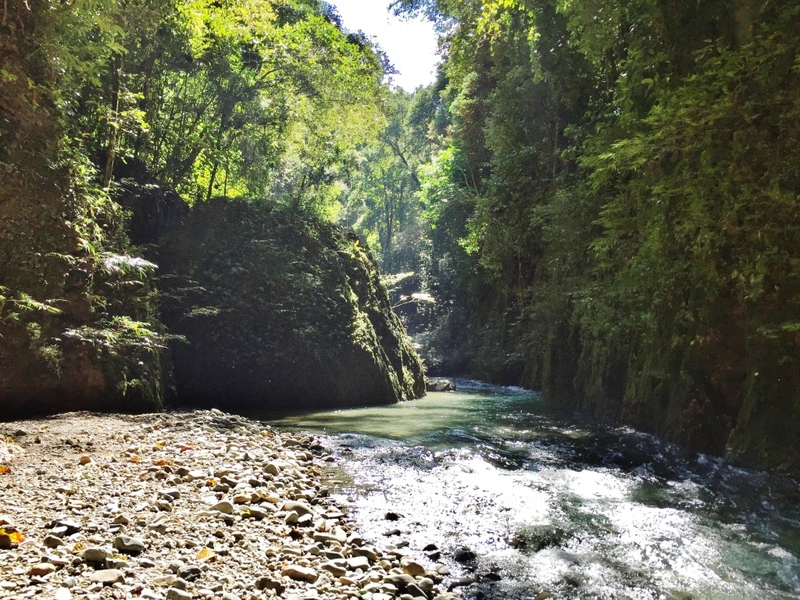 Its deep valleys and sloping hills are enclosed by rugged mountains, except in the western portion where the Abra River flows towards the coastal plains of Ilocos Sur. 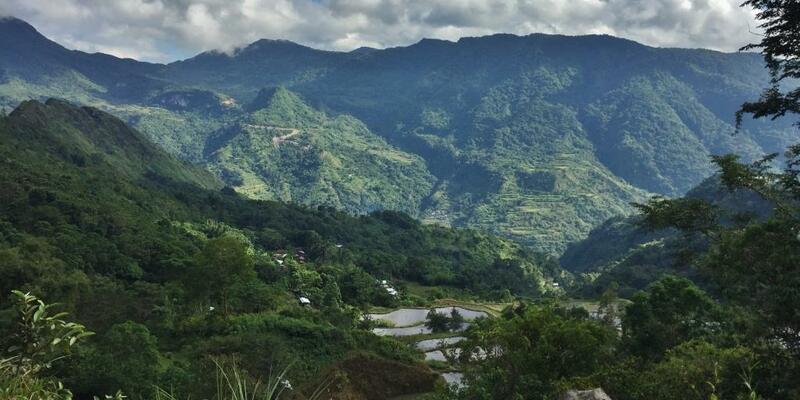 These rugged mountains are shared with the boundaries of the province of Kalinga. At the end of my travel, I reassured friends who knew I was taking this route with a facebook post describing the adventure. Route not recommended. I am probably just so adventurous, and foolish ( hehehe). And because I knew my 4×4 can handle the road. Total of 6 hours with maybe cumulative 30 minutes spread in different spots with mobile connection. Too many unpaved, very muddy roads on long stretches. 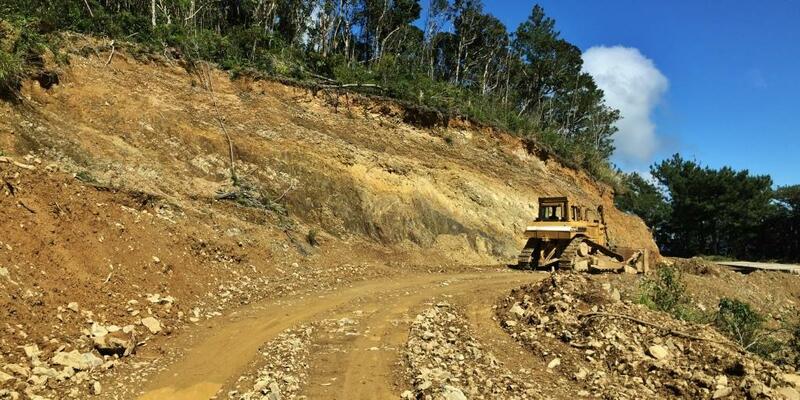 Landslides in too many spots I stopped counting at 100. Too many portions where half of the road has nothing under the concrete – – the land must have been washed away. 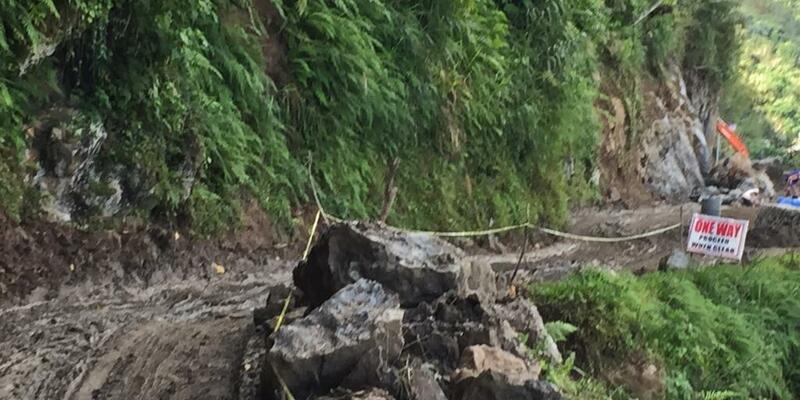 There is a portion where the car had to negotiate an elevated, unpaved road where on a wrong maneuver, the car could fall. And that is why we never saw public transport throughout the trip. Extreme adventure. But something in me says I can do it again. Call me crazy. I first chanced chanced upon a beautiful, quaint cafe by the provincial road in Pasil on the way to Lubuagan, Tinglayan and Bontoc. 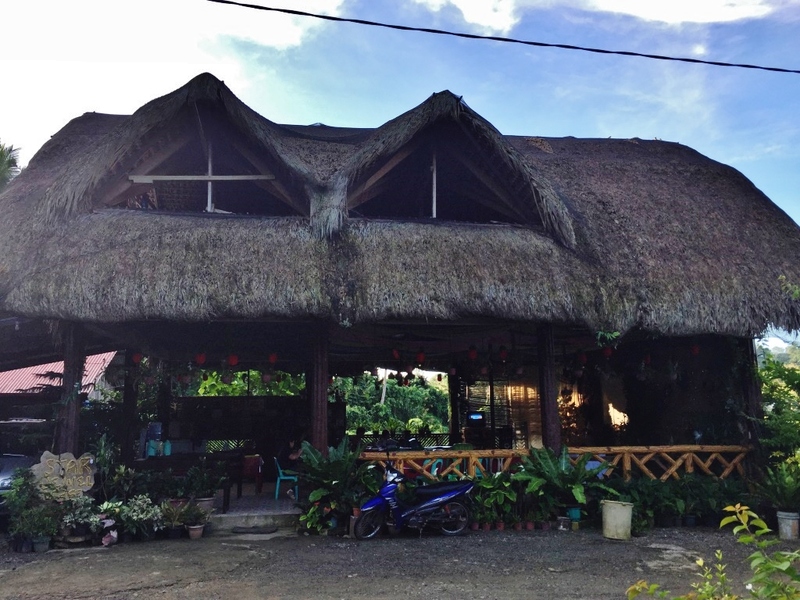 This is Bangyan 88, a cafe/resto where, on the next bend to the right, one starts the journey to Abra. The route starts with this nice, paved road. 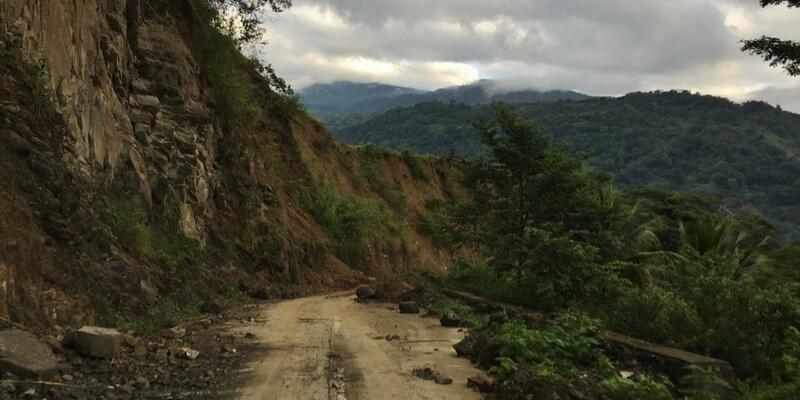 From a nice, paved road, you will probably ask “where has the road gone?” And before me was a truck where locals hitched a ride, as there seems to be no public transportation. 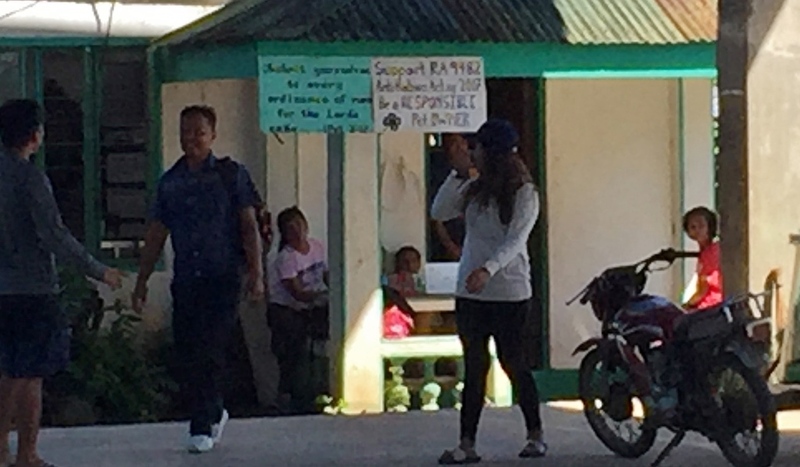 There is a little barangay I saw, but before and after that was long stretches of muddy roads. To be fair, there are concrete roads, too. But they suddenly disappear. On the way, cloud covered mountains and rice terraces. Balbalan is the next town after Pasil. 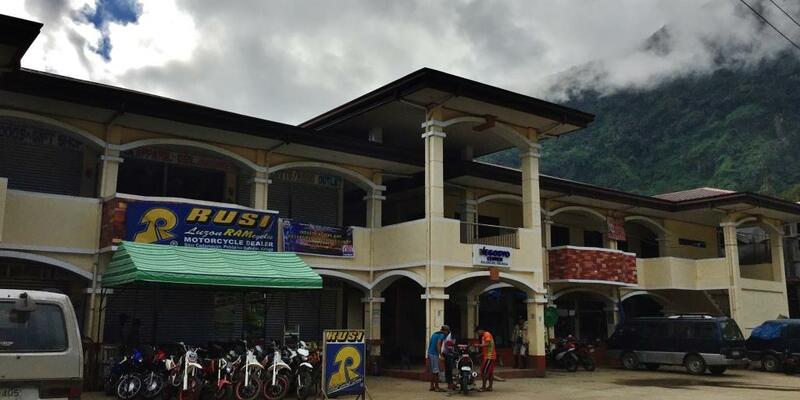 In fact, this was the defined gateway to Abra, The town of Balbalan covers a huge tract of land – – mountains, valleys, rivers, streams and plateaus. 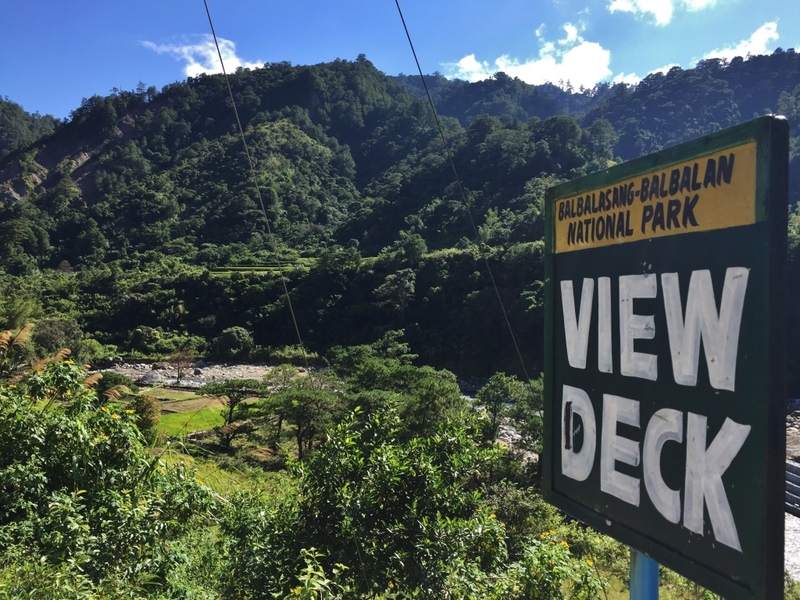 In fact, a national park, Balbalasang Balabalan National Park sits on the beautiful mountain called Mt Balbalasang, and is a major draw among adventure travelers. 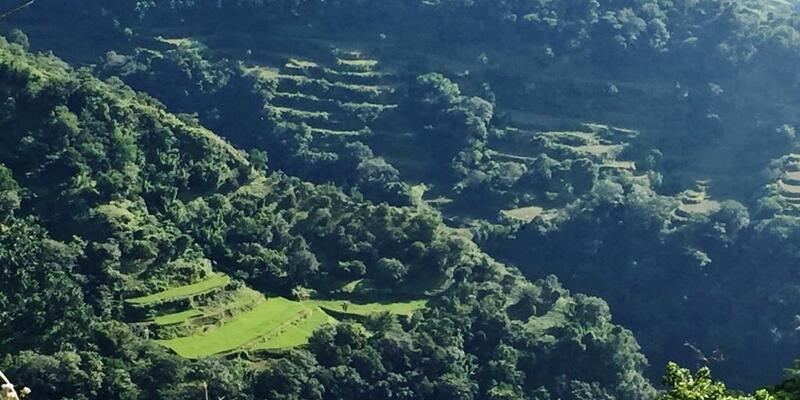 Balbalan is also famous for its rice terraces. 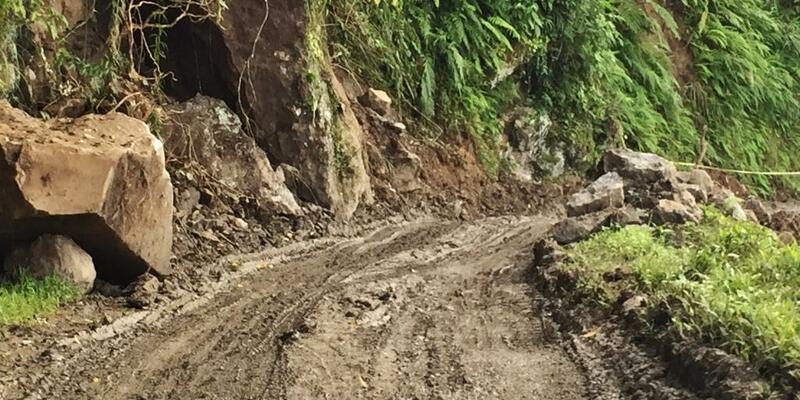 It is in Balbalan where the roads get muddier, narrower, and where landslides on mountainsides become more frequent. A lot of the concreted roads also become unservice-able because the ground underneath has been eroded, making the roads “one way”. 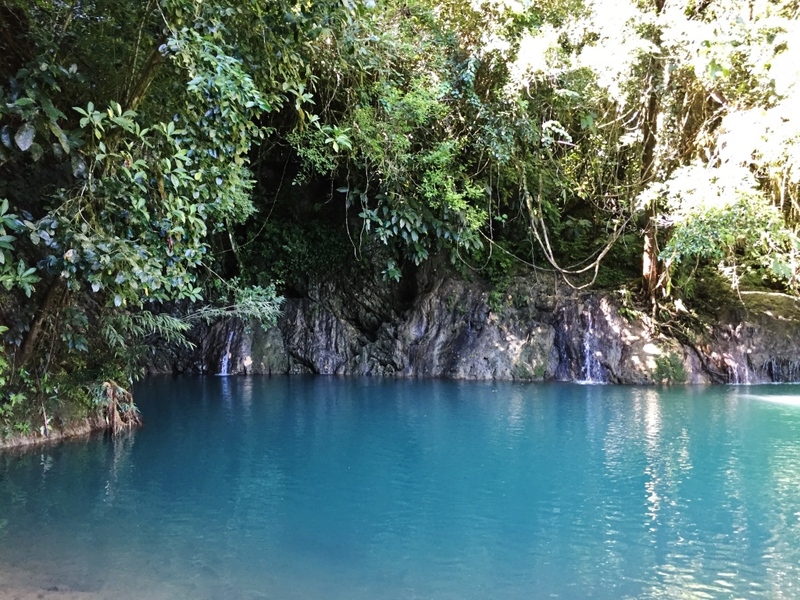 A most scenic part of Balbalan is the Balbalasang area. 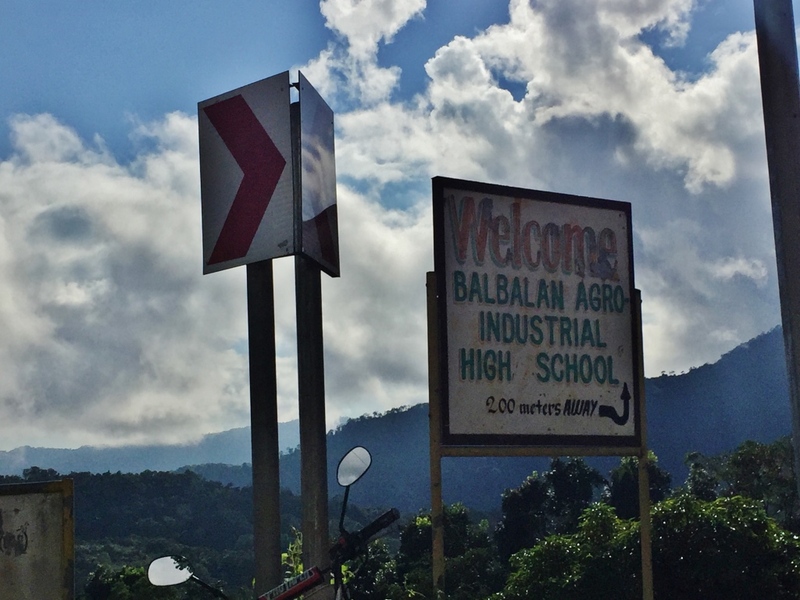 One never know when the roads from Balbalan ends or where it begins to be part of Abra. I kept looking for any signs of the provincial boundary. Nada. Most likely because the roads are in perpetual construction or repair. There are many stretches of this road. Just half of the road is concrete. And we were constantly praying that no one is on out opposite direction because there was no way we or the other vehicle could move to the sides – – about 10 inches from the ground. Luckily, no one came the opposite way. And that is because no one seems to want to be on this route. I FINALLY KNEW I WAS IN ABRA. 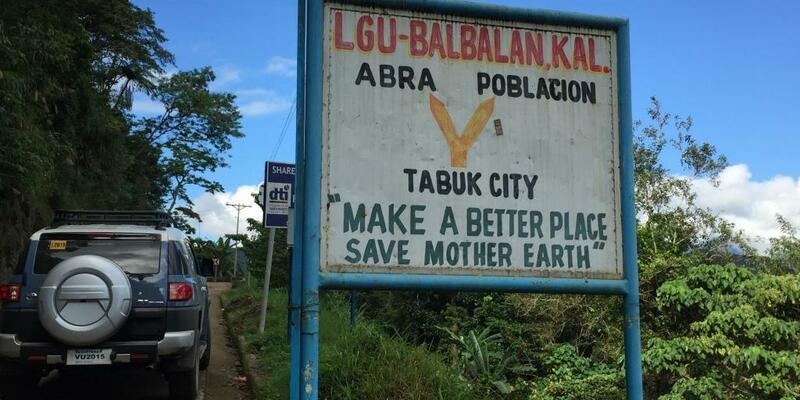 Because there was this “To Kalinga” sign, I knew I was in Abra. 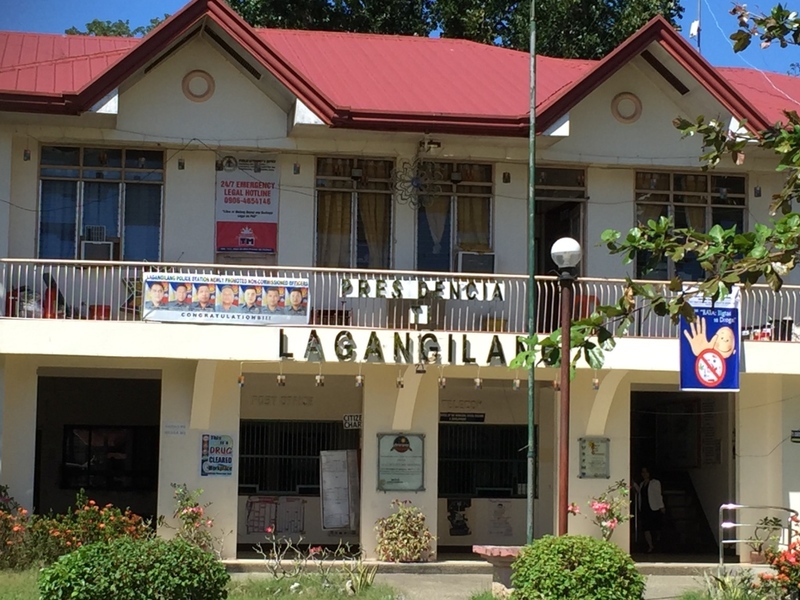 But I was not quite in Bangued yet. 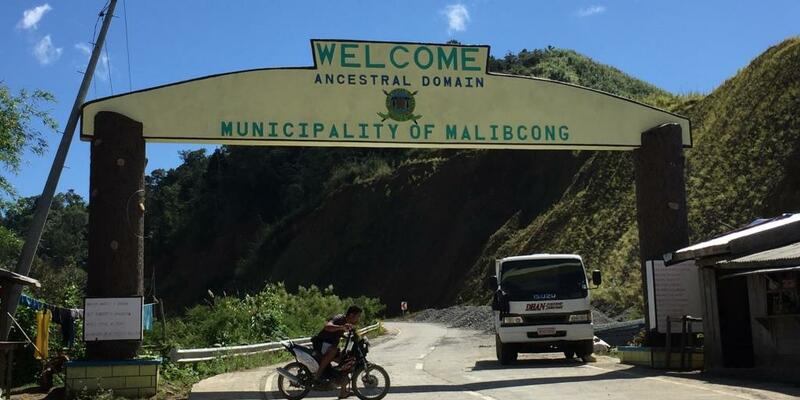 I also saw an arc, and when I went past it, knew that the place I just passed was Malibcong in Abra, an area defined as an “ancestral domain”. Interesting. I felt like I was back in civilization when I hit the next town. And then I was in Bangued. Total travel time, including stops for photography was nearly 7 hours. As I told my friends, this is a route I should not have taken. I wasn’t able to photograph a spot where our 4×4 crossed a road that was almost just as wide as the vehicle we were in, and we could have fallen if our wheels moved a few inches away on either side. Visualize this, and it would have been impossible for me to have taken a photo. Once past it, I was just so relieved that I completely forgot to take a snapshot of that road we passed thru, no matter how short. But then I may be crazy enough to want to try this route again. Especially since I have done it once. 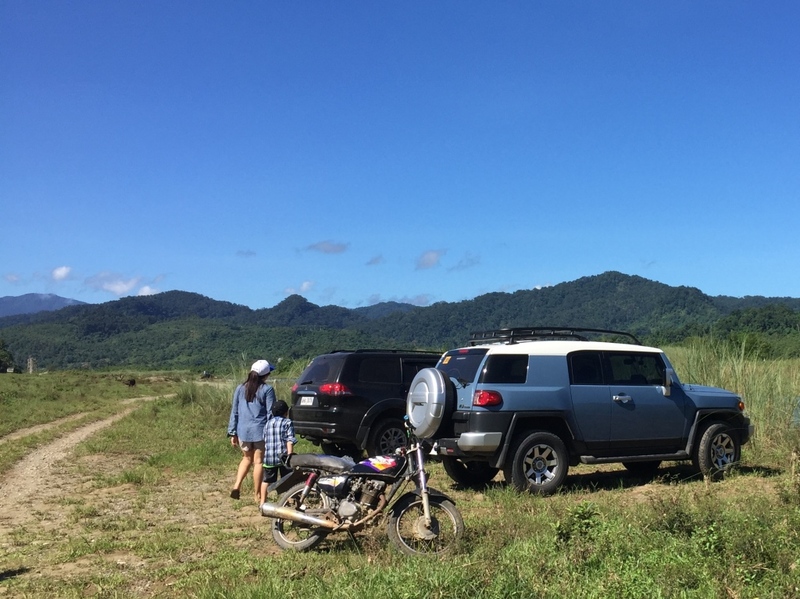 In my books, Apayao is a top adventure destination. 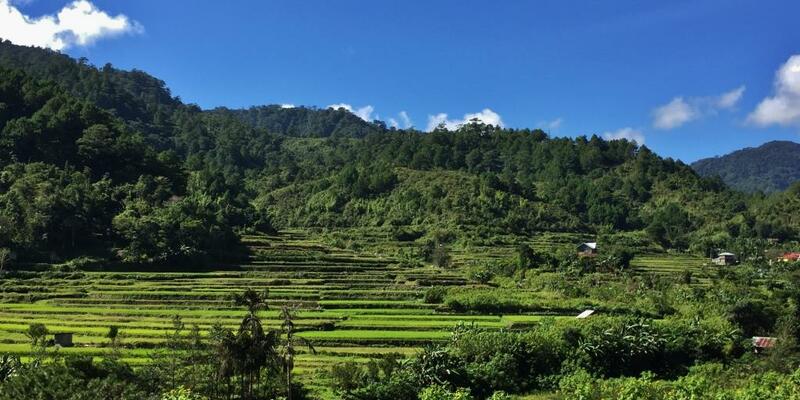 It is so raw that very few travelers venture into this northermost Cordillera province. Admittedly not an easy destination. But its remoteness adds to the adventure. 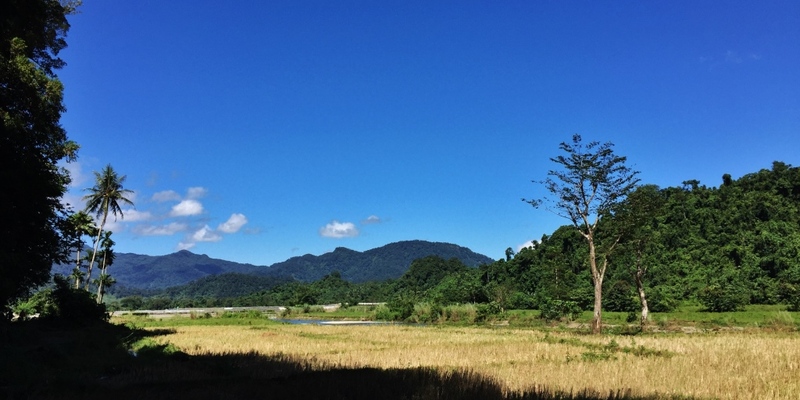 Apayao is bounded on the north and on the east by Cagayan. That is why it was, for a time, part of Cagayan. To its west is Ilocos and Abra. 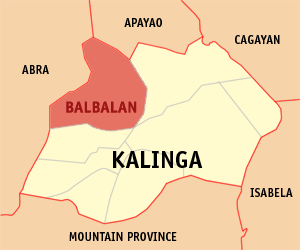 To the south is the province of Kalinga which was, also for a time, part of the Kalinga-Apayao province. One would think that the asy access would be from Ilocos. There is none. Or from Abra. Think again. 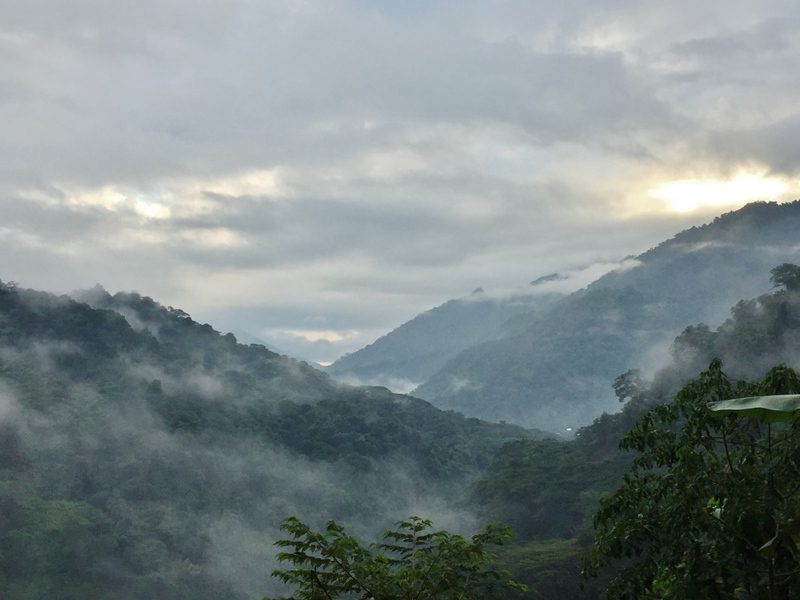 Apayao is accessed via Cagayan Valley, from the toen of Pamplona, in particular. 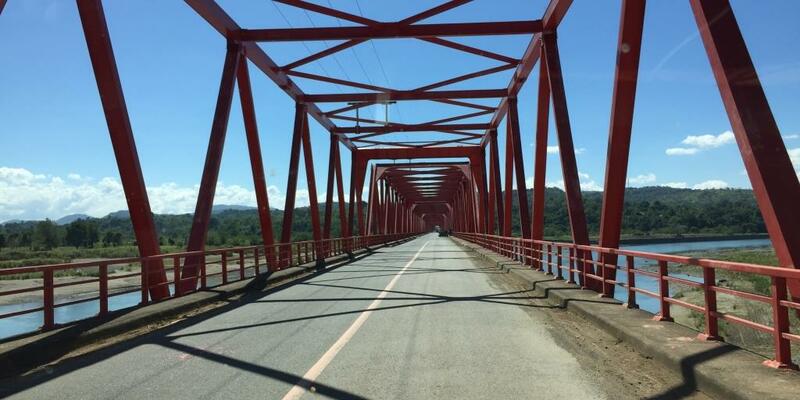 Thus, the adventurous visitor will have to travel all the way to Pagudpud in Ilocos Norte, cross Patapat, and drive on to the Cagayan towns of Sta Praxedes, Claveria, Sanchez Mira, and Pamplona. 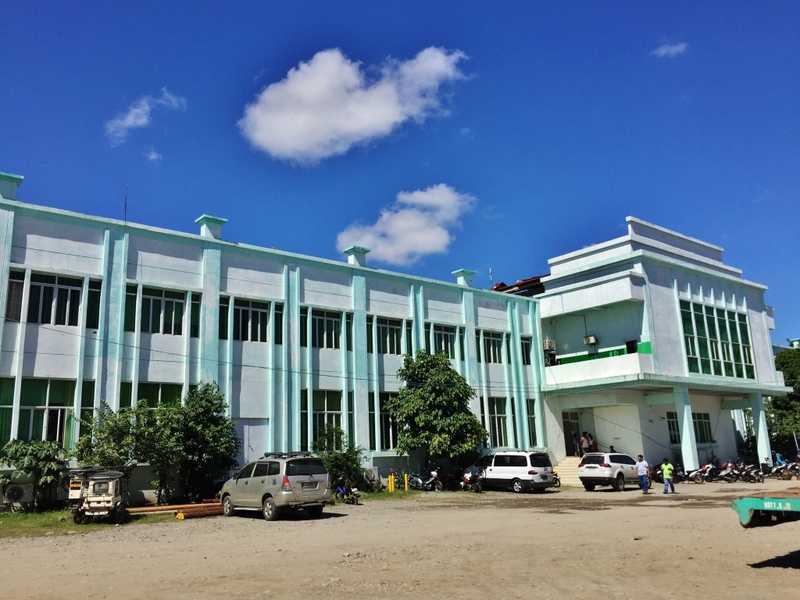 The junction in Pamplona leads to the first and most progressive town of Luna, Apayao. 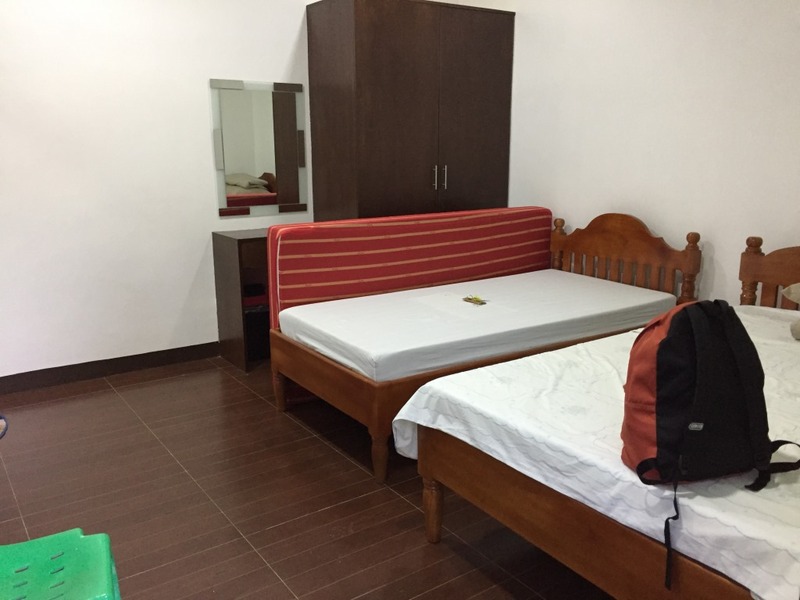 One must make arrangements for accommodations before traveling to Apayao as there are not many. Again, that is characteristic of places where one goes on an adventure. Marag Valley is a haven for adventure travelers. 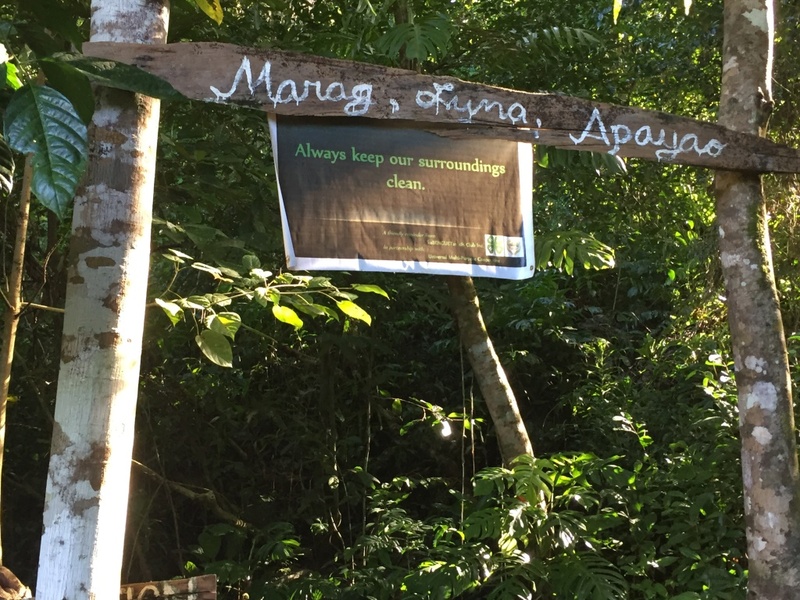 Proceed to the Tourism Center in Marag Valley which is easy to find because it is within the barangay’s basketball court. 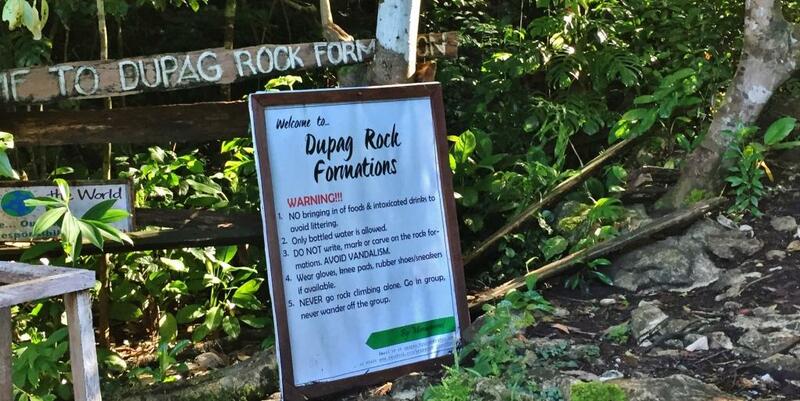 Make arrangements to tour the Dupag Rock Formations, the Hanging Bridge, and the Manacota Underground River. If you are extremely fit and athletic, take the hard route. As for me, I felt that the easy route was actually hard. Wear shoes or sandals with great grip and traction as the rocks could be slippery. Do not go without a guide, as you will need him/them as human ladders. 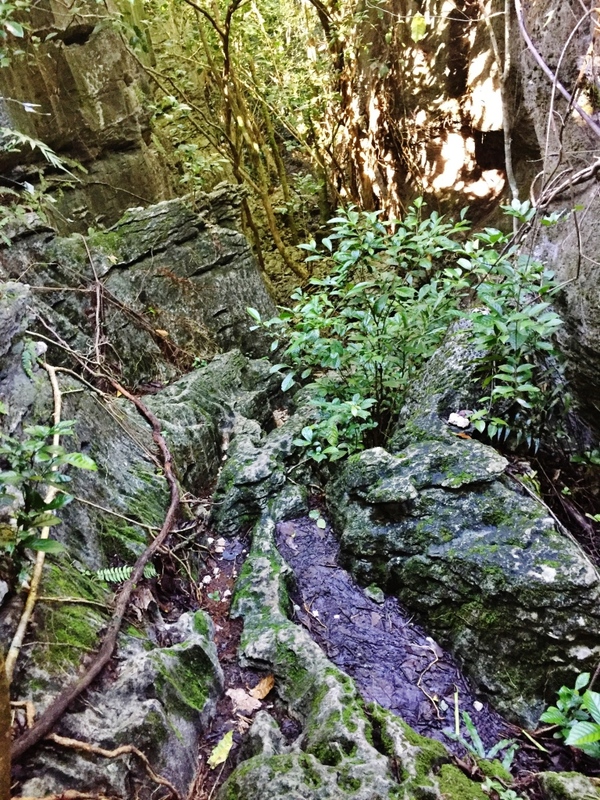 The rock formations are accessed after crossing a shallow river. Not quite an adventure, but definitely a must see, even just for photography. A hut on the foot of the bridge serves as Visitors Center. List down, and make a donation. 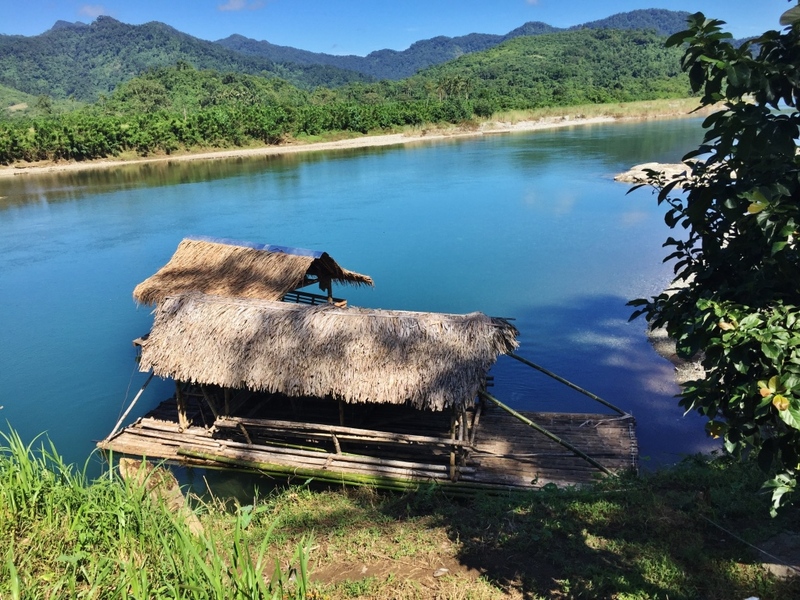 You can also arrange a picnic on a floating hut on the river. Second river crossing was waist deep. And 5 more river crossings after this. The reward from the long hike is the beautiful mouth of the river. Going in is even more pleasurable, as the narrow boat navigates in between rocks and boulders INSIDE THE CAVE. No this is not like Puerto Princesa. 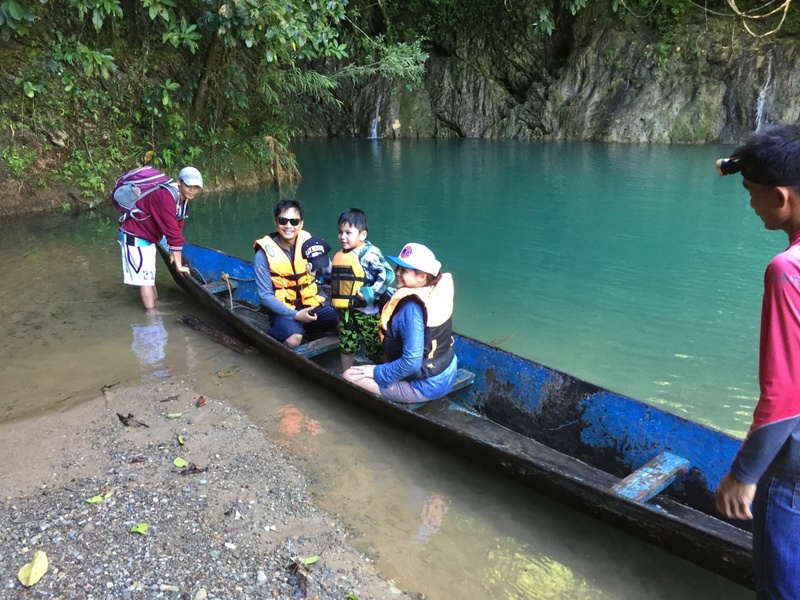 The end of the underground river cruise is a beautiful spot that looks like paradise. You may want to swim there, or just stay to immerse in the beauty of nature. This is easier to access. We parked our 4×4 right into the grounds where the tourism desk is. There is also a toilet for visitors here. Access is easier as there is no hike, but the roadworks have not been completed so we drove our 4X4 onto a shallow river and muddy roads. 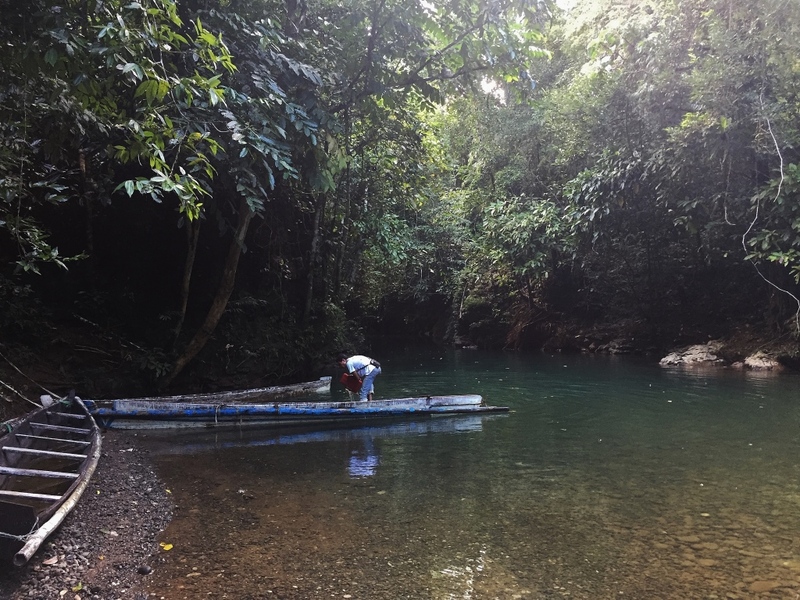 The cruise into the cave is steadier, as the boat has a balancer (bamboo poles on its side, but not really outriggers. It was so steady the guide stood on the other end of the boat. 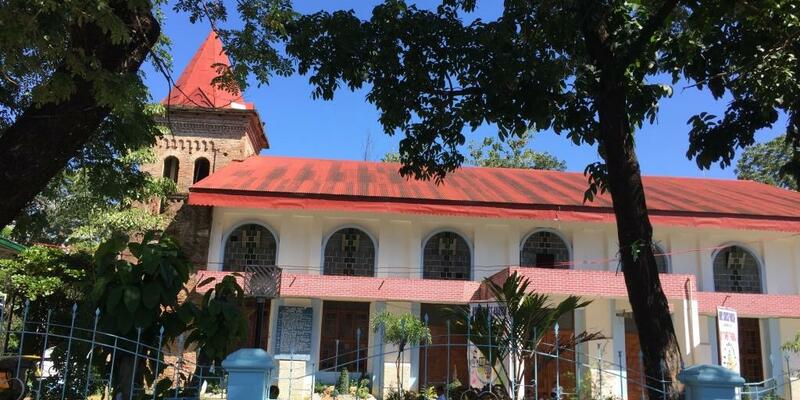 This is found behind the Municipal Hall of Pudtol, within the school compund, right beside the church. This was an old Spanisg church built with the intention of Christianizing the indigenous Isnegs. 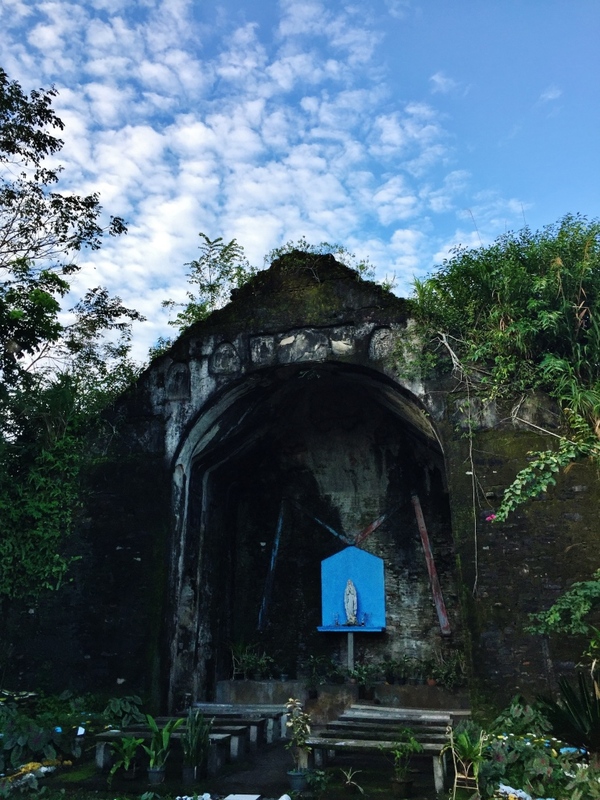 Another church ruins can be found in Mataguisi, a different barangay in Pudtol. Hands down, it will have to be Star Jewel. 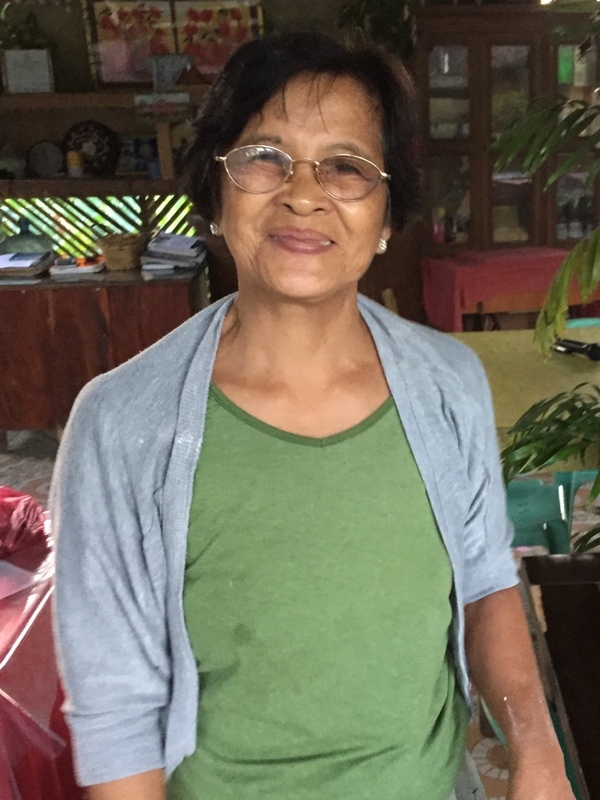 The proprietor, Josefina, is a retired nurse. 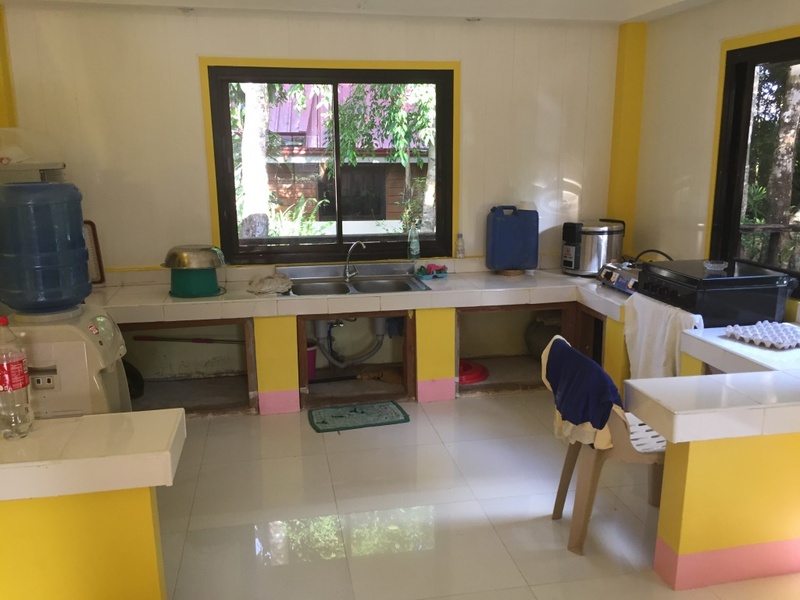 Basic accommodations, but nice and clean, and airconditioned. meals can be arranged. 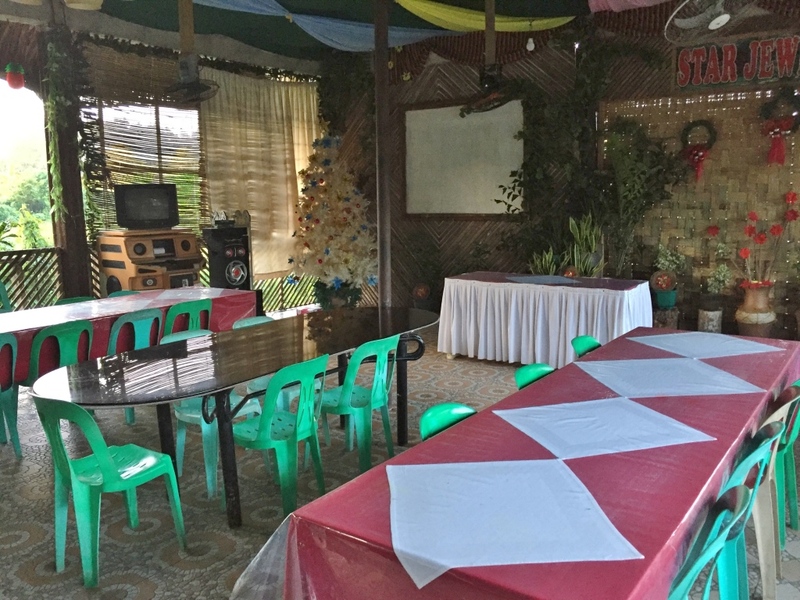 The dining room is folksy, and there is a videoke for free use of guests. 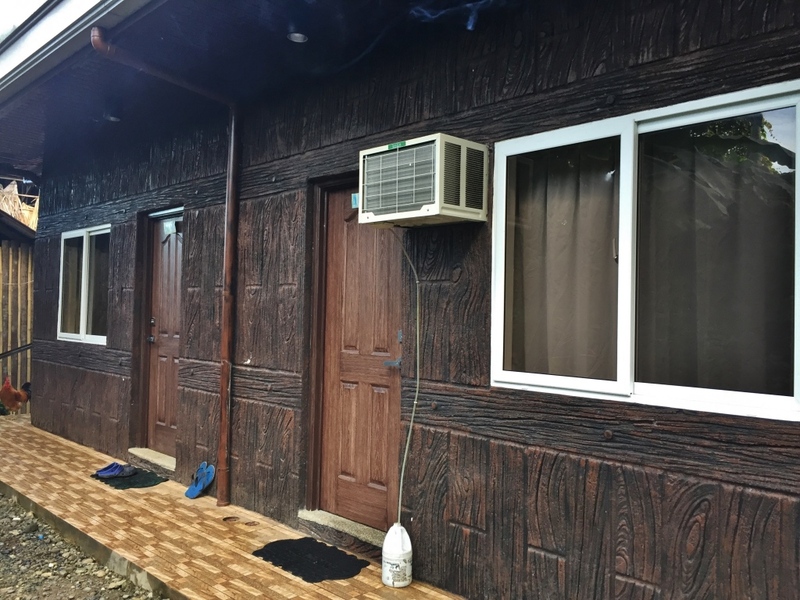 Big groups may want to stay at the cottages operated by the Tourism Office. 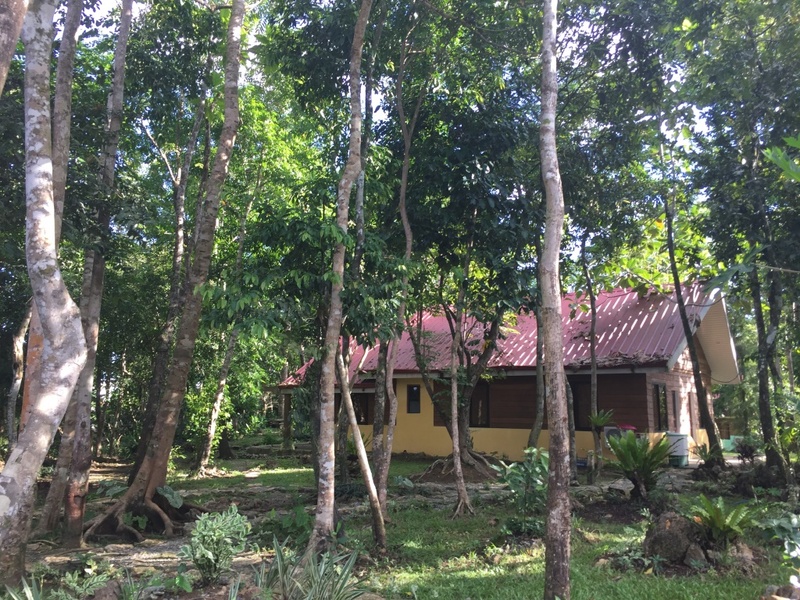 Each cottage can have as many as 10pax for P2,500 a night. There are many such cottages, each one with its own dining room and a living area. 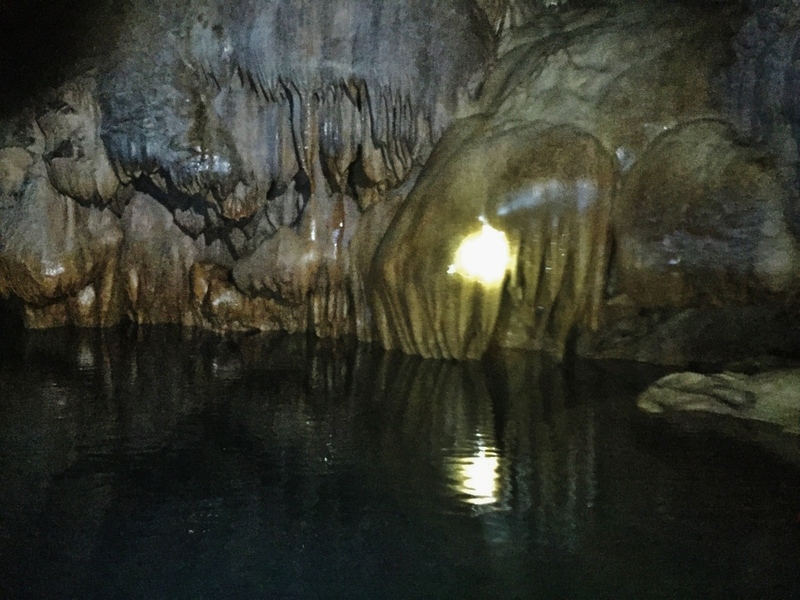 There are two (2) underground rivers I visited in Apayao. Lussok and Manacota. For some reason, Lussok is more popular. As for me, Manacota is a better choice if one has to see only one. Manacota is within the Marag Valley tourism package, which included the acsent to the Dupag Rock Formations and the Hanging Bridge. 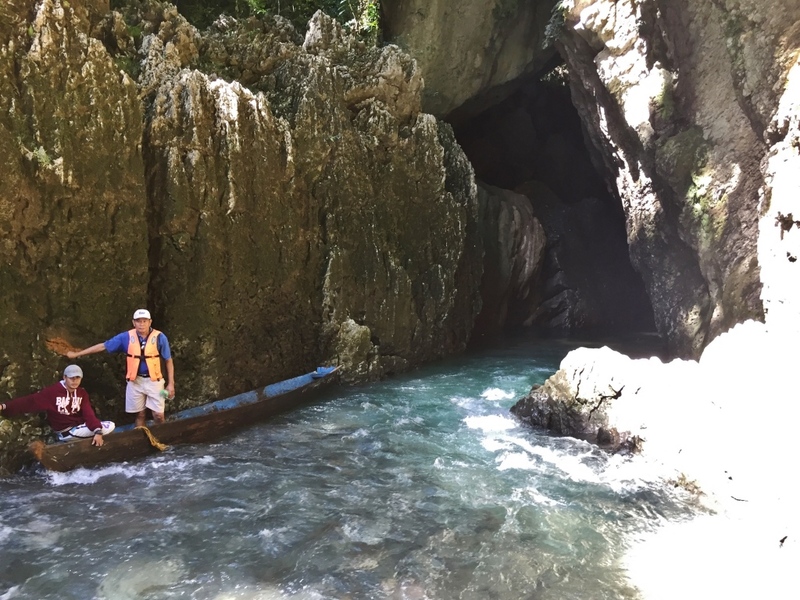 To get to the mouth of the cave, one has to hike for 1.5 kilometers and cross the same river seven times (7X). Why, you might ask, must anyone cross the same river 7x? That is because in some parts, the edge of the river would be rocks and boulders you can not walk on, and so you must cross. Repeat this scenario as many times and you end up crossing the river 7x. Alas, I thought it was more than 7, and the guide said they were not counting just getting wet walking in the river, on its sides. Just crossing from one side to the other is 7x. 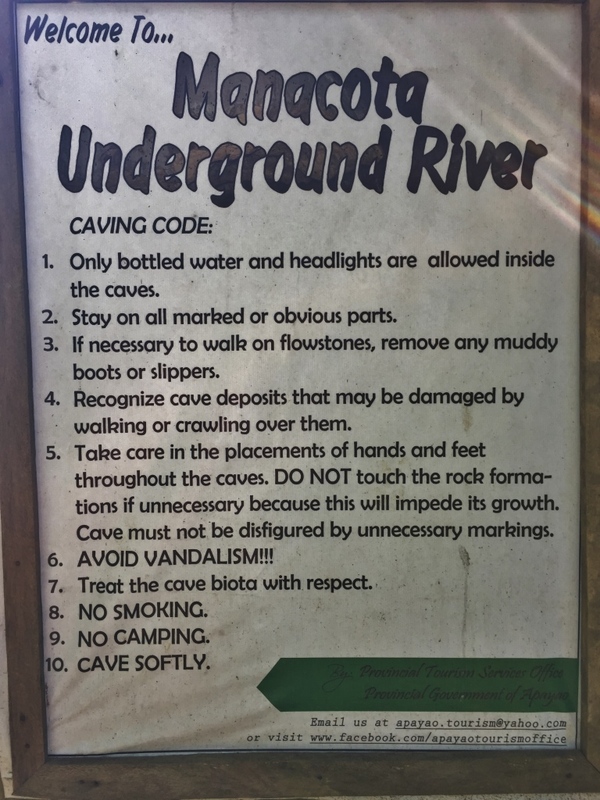 At the end of the river crossings, we saw this sign that enjoins visitors to preserve Manacota. The fatigue from walking and crossing rivers is compensated by the beauty of the destination. And it was still just the mouth of the cave. So serene. beautiful. We then boarded the boat without outriggers into the cave. This was realyy some adventure. 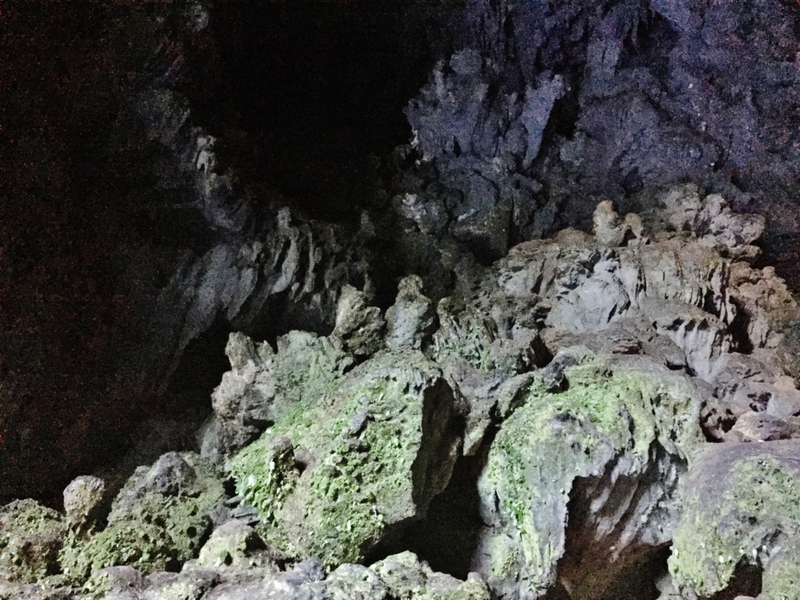 The boat without outriggers was navigating thru rocks and boulders inside the cave. Some passages were so narrow it was just enough for the width of the boat. The end point was even more worth it. It looked like paradise. 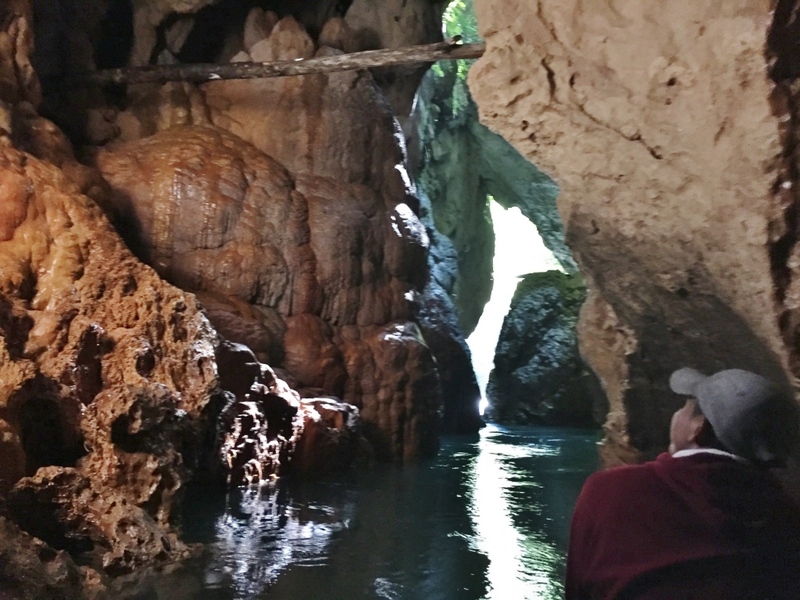 The waters were stronger and the boat had to be anchored on one side of the cave to protect it from the rushing waters. 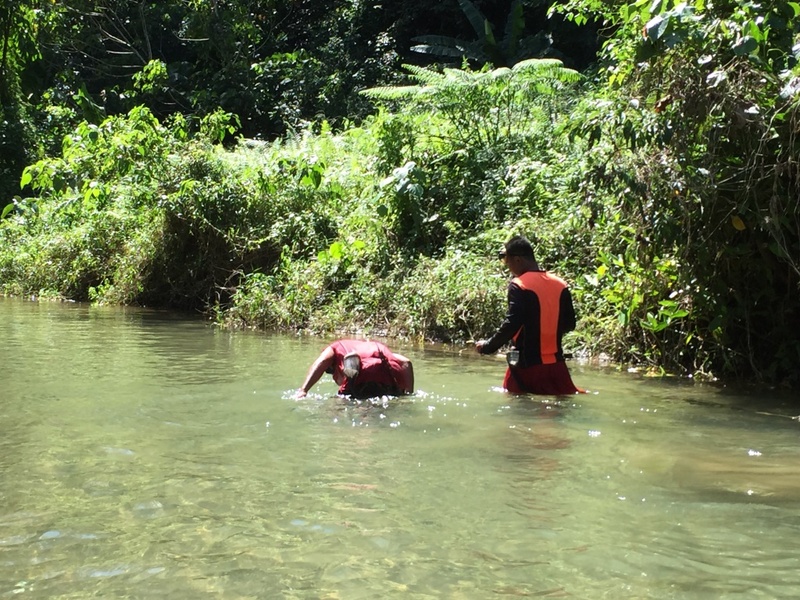 We got off and saw some portions of the river so clear, so clean, and actually inviting guests for a swim. Perfect spot that we wished we could stay there longer and gave a picnic. But we had to go back as another set of visitors had to use the boat for the same beautiful experience. The trek back was easier, even as we were more tired. 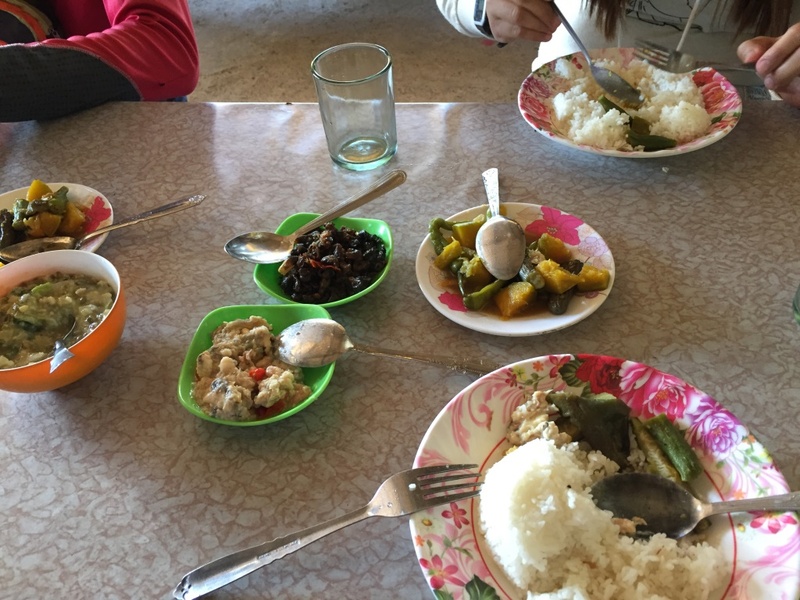 We were looking forward to a sumptuous second lunch (hahaha) that we arranged for the wife of the barangay captain to cook for us. Surely, some nourishment after this tiring but worthwhile adventure. Yes, it is but a bridge. 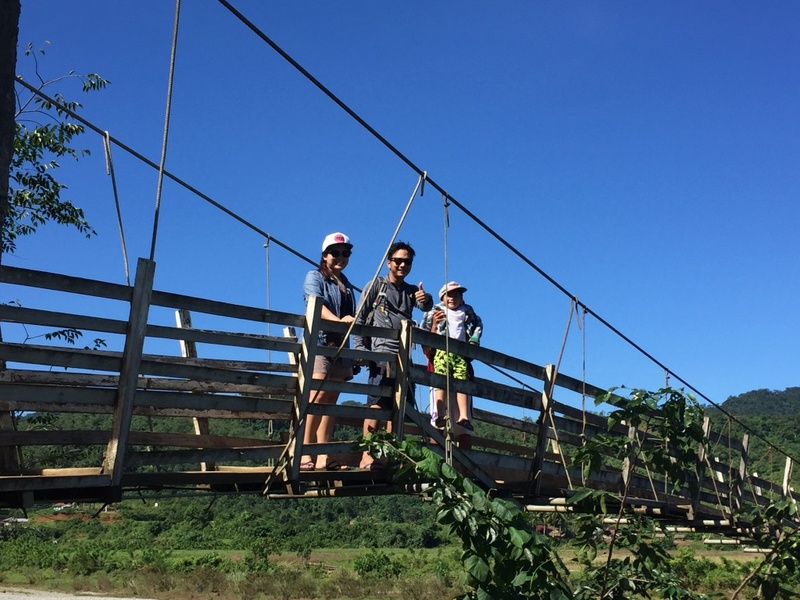 But in beautiful Marag Valley, the hanging bridge takes on a special persona. 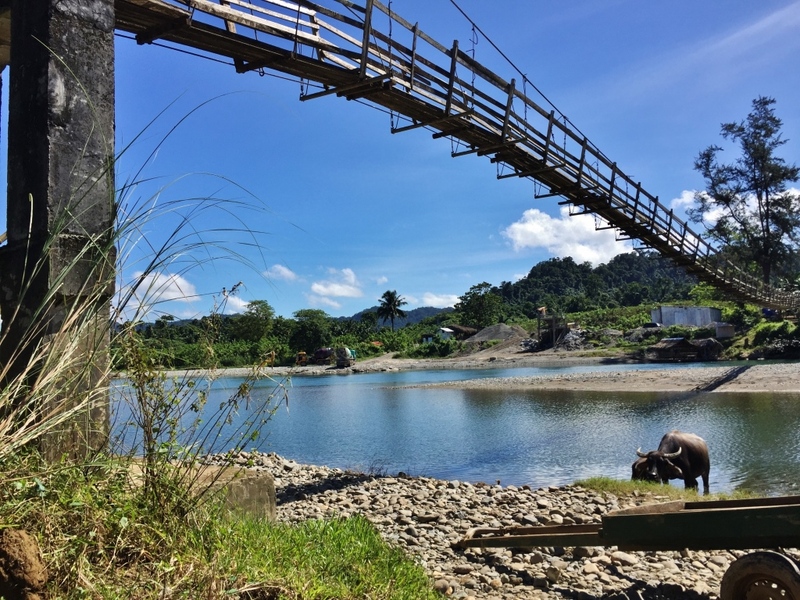 Because of the general feel of the river and the fields, crossing the hanging bridge becomes an urge. I am told that single motorbikes even cross the bridge – – I can not imagine how, but I believe. There is a small hut that serves as a visitor’s center. One needs to register, and make a donation. Gladly. Not much to say, and I think the photos will invite you to see the bridge. Or maybe have a picnic on a floating hut. 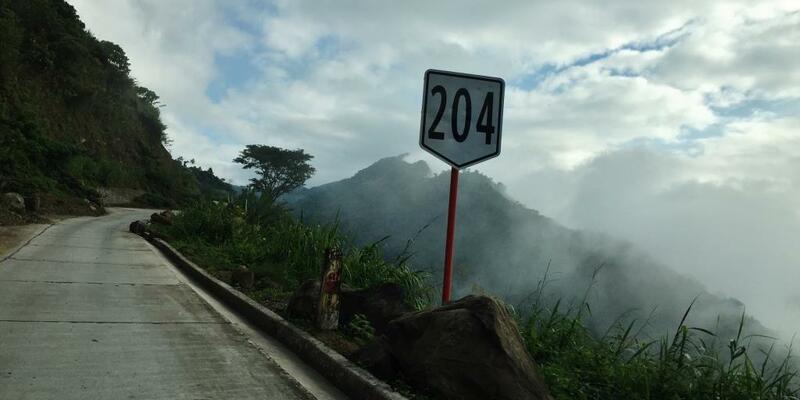 Bar none, this is the top draw when any traveler goes to Apayao. First, for its sheer beauty. Second, for the challenge one has to take to conquer the rocks. I am 61 years old, and a regular adventure traveler. And so the guide asked whether I am up to climbing Dupag using the hard route. Instinct told me to take the easy route. The easy route was not at all easy. 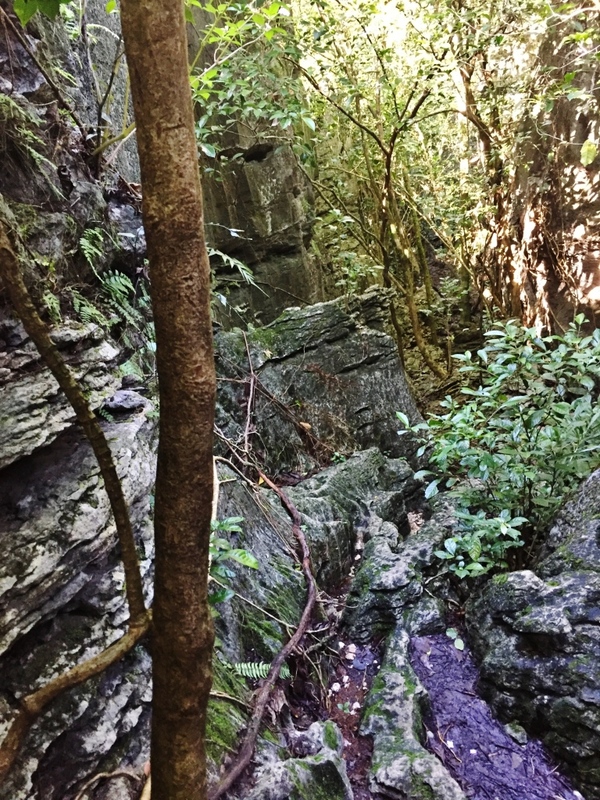 Even while I was blessed with good weather (a group of friends went 2 weeks earlier but did not make it to the rocks because of incessant rains), the climb was still difficult because the rocks were still rather slippery. I was wearing a good pair of sandals, but for some reason, my soles would slip. Thus, I had to do it more slowly, hanging on to trees and shrubs along the way, and clinging on to rock surfaces. Higher into the climb, I was beginning to ask myself if I could make it, or retreat and go back down. But heck, I was there already, so I persisted and climbed some more. No harness. And the climb meant inserting my feet, usually just my toes, into tiny crevices of the rocks. And holding fast to the sides of two rocks, if not to the sharp ends of the top surfaces. Moving from one section to the next is a bigger challenge. 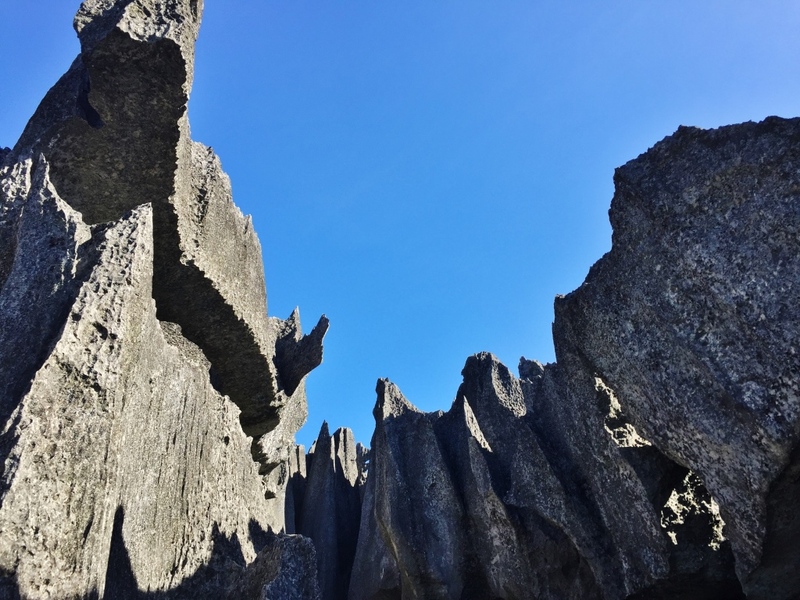 To go beyond one rock that looked like a giant blade into the next rock, one could fall. But our able guide perched himself between two rocks and asked me to use his thighs as a step. OMG! If he fell from my weight, we would both fall down. On top of that, I had to hang on for dear life to the top surface of another rock while stepping on his thighs. But I made it to the next spot. I had lots of water for sustenance. And in many parts, I felt like the wind wasn’t at all blowing, the leaves on the fields still, and so I was gasping for breath, needing oxygen. I fanned myself using my baseball cap. And was unashamed to tell the guide I needed to rest to recover so I can go on. Finally we made it. Success ! 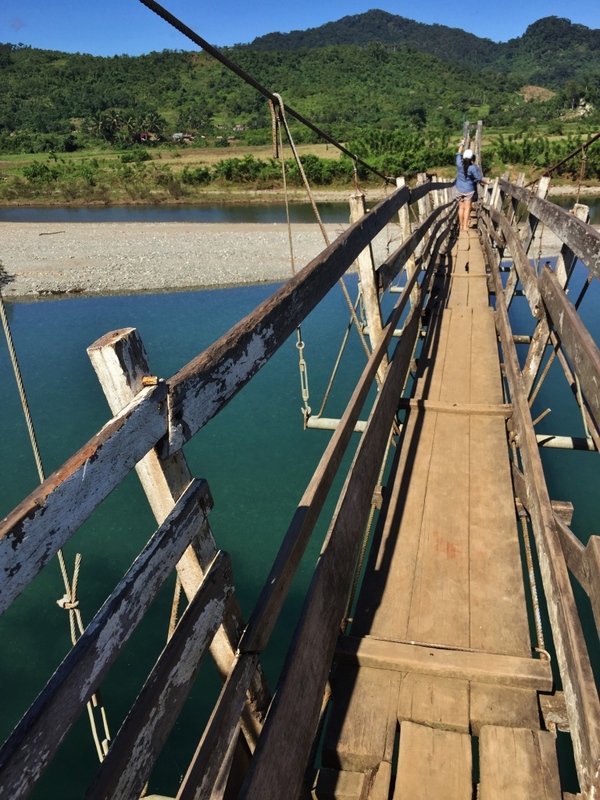 With the difficulty and all, I think I will do it again when I re-visit Apayao. Especially since I have made it once, and know exactly what to expect the next time. From Luna town, visit the Tourism Center in Marag, near the basketball court, about 15-20 minutes from Luna town center. Register and they will provide a guide and head gear for safety. 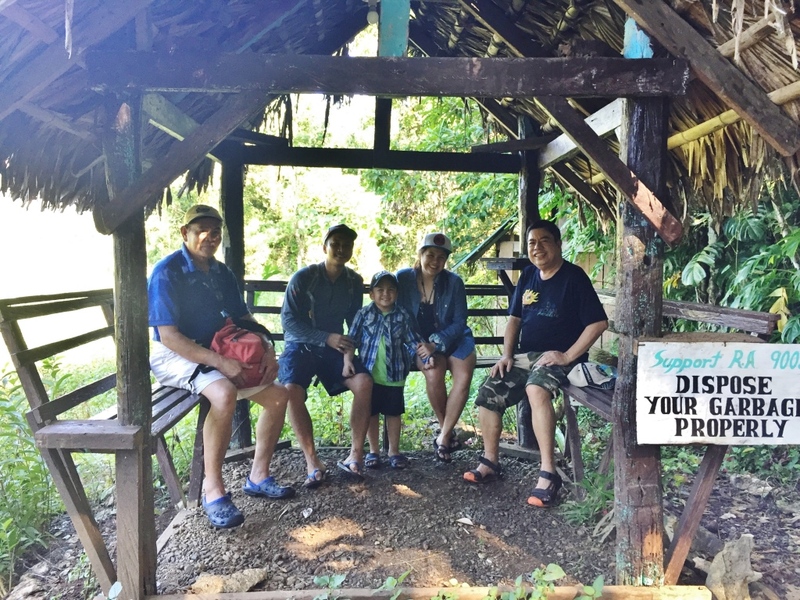 From the visitor center, we were guide to Dupag. Vehicles are parked at a point before everyone has to cross a shallow river. There is a small hut afterwards, but it served its purpose better on our return, to rest a little bit. 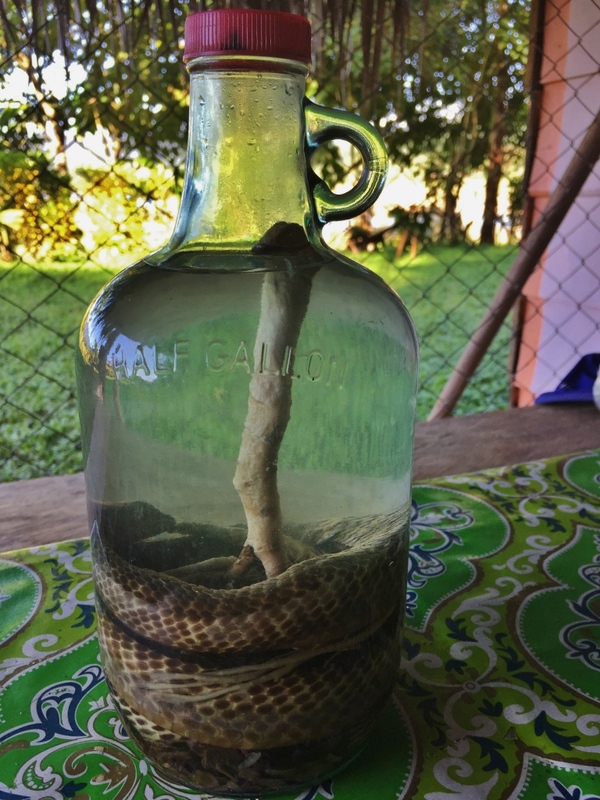 Somewhere near the rest area was a hut where an old man lived, and he showed us a lambanog (fermented coconut wine) with ginseng and real cobra inside. Had lunch in a small carinderia near the basketball court. There are other attractions within Marag Valley. 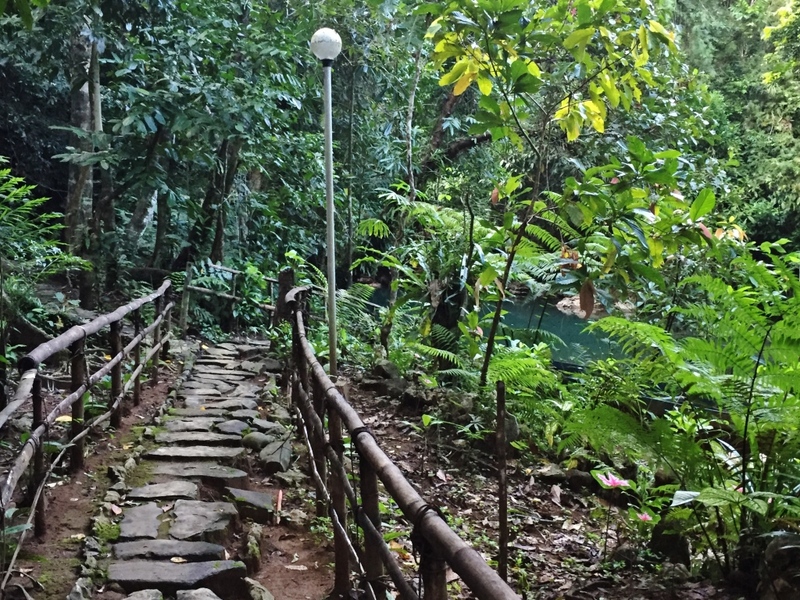 Like the Hanging Bridge, and the Manacota Underground River. Will be writing about these attractions, too. 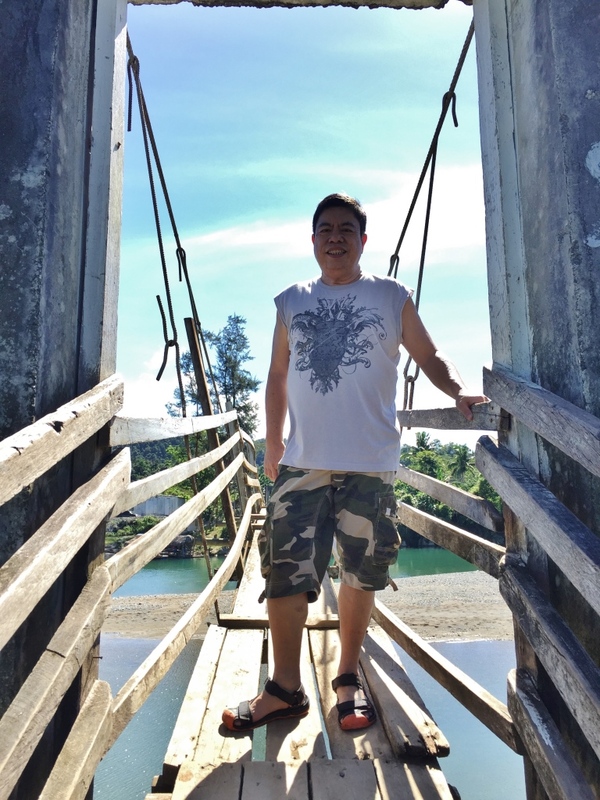 Meanwhile, I had to take a souvenir shot to prove my conquest of Dupag. It is a jewel. And I am happy to have found it. 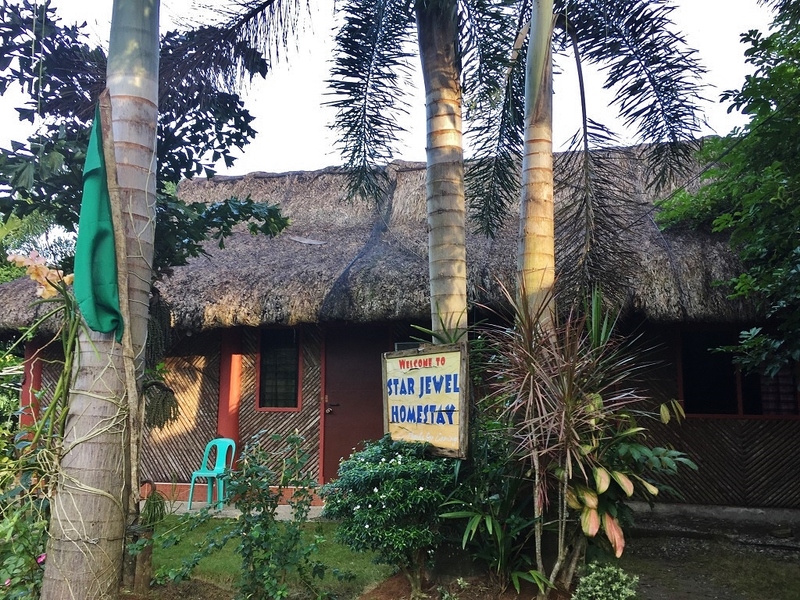 Star Jewel is, to me, the best place to stay in Apayao. 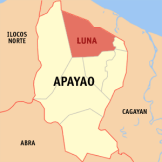 It is in Luna town, the first town the traveler will hit when entering Apayao via the usual and fastest way – – from Pamplona in Cagayan Valley. 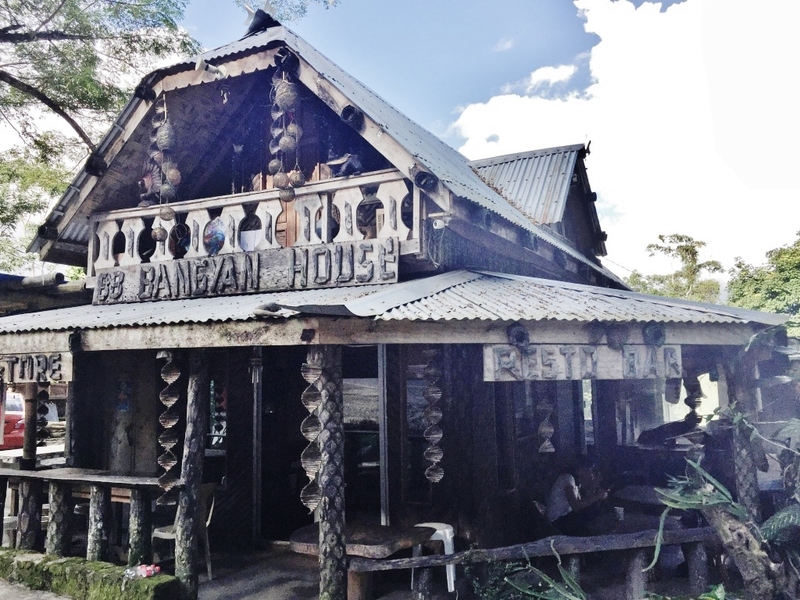 The place is comfortable, homey, and friendly. No frills. No fuzz. I rate it 5 stars not because of its rooms nor its facilities. No, no way it compares with the best hotels. 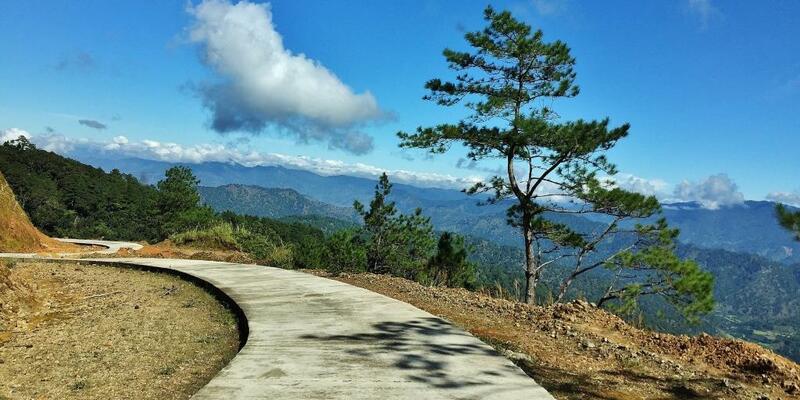 But it is perfect for travelers like me wanting to experience the rugged beauty of the province of Tuguegarao. 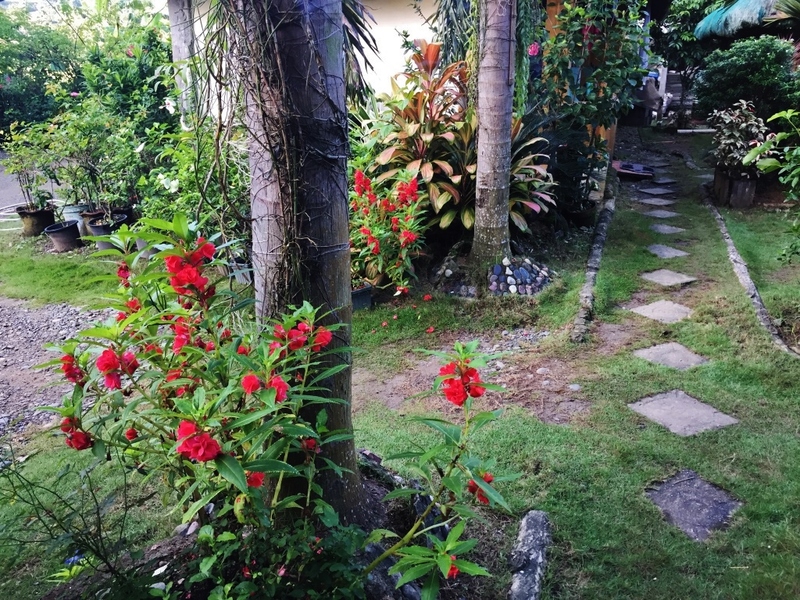 It is a nice place to come home to after rock climbing, after crossing rivers, after spelunking or just taking boat rides thru underground rivers. It is a nice place to have a beer, and a chat with other guests with the same passion and interest. And for warm, small talk with the owner, retired nurse Josefina, and her staff. 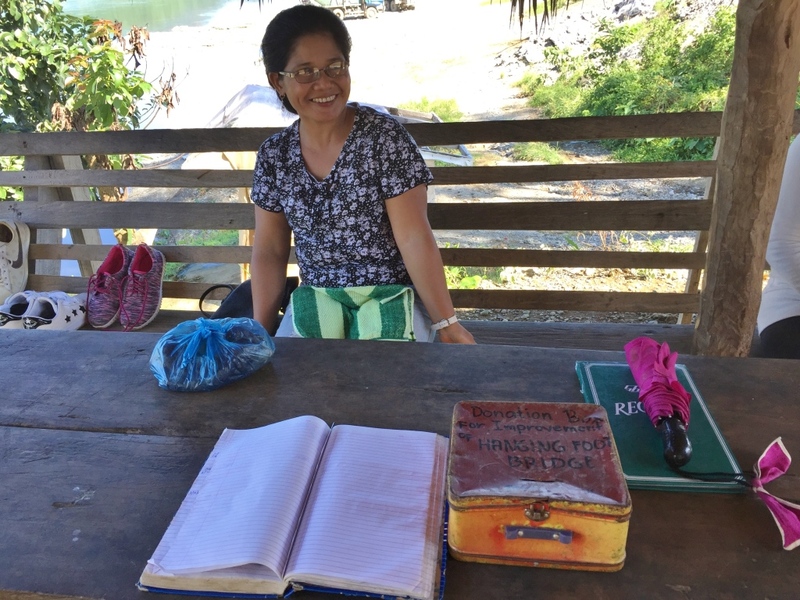 Josefina tells me that when she started the business, it was billed as “homestay”. 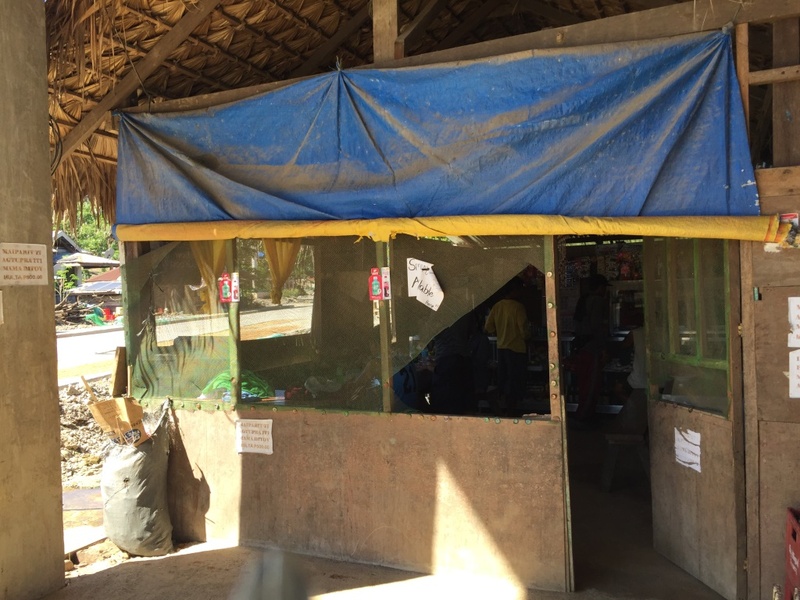 Because that was how the hospitality business started in Apayao when there were only a few visitors, and no real hotels. Realizing that homestays mean accommodating visitors into your own home, and because she has built private rooms for guests, she then called it, appropriately, a lodge. 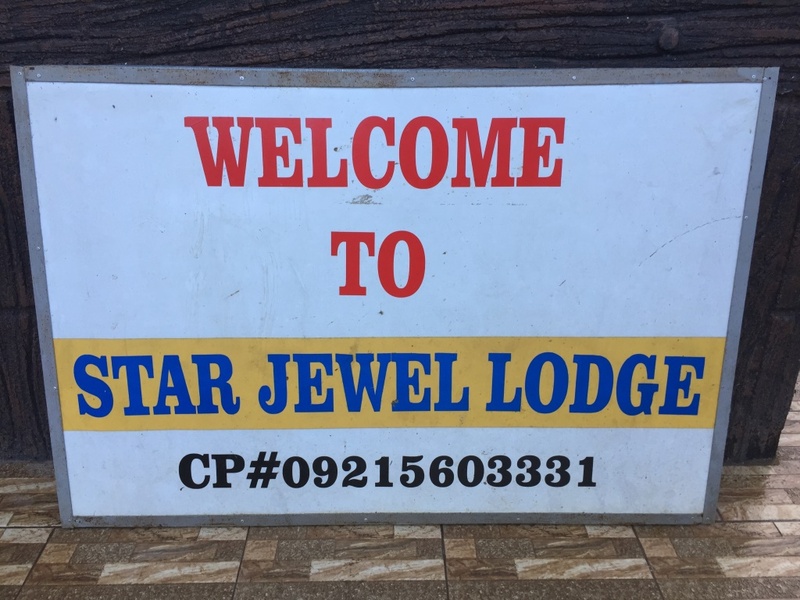 Star Jewel Lodge. 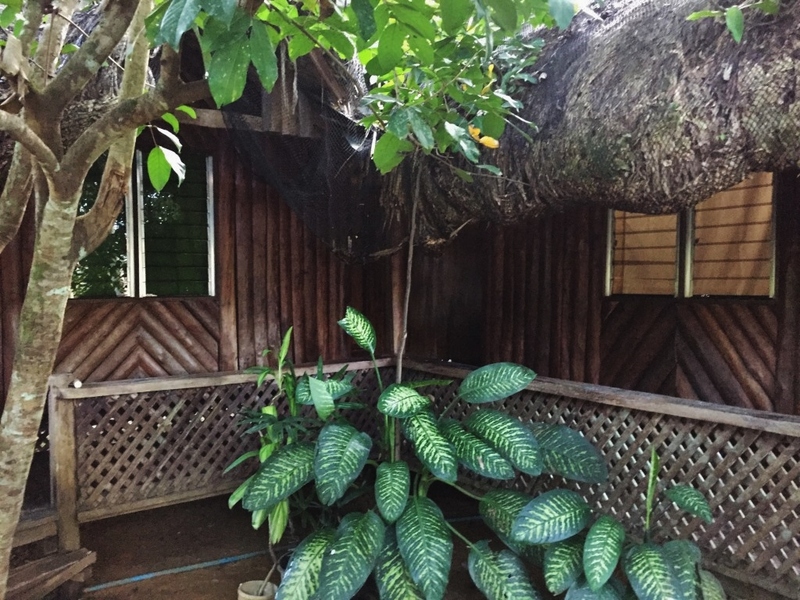 And because of her facilities, the lodge is accredited by the Department of Tourism. I arrived around 7pm because travel to Apayao is really long. 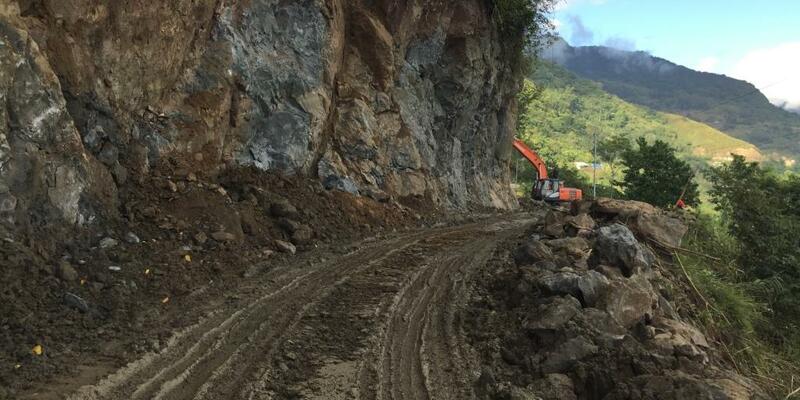 Travelers from Manila will have to take NLEX SCTEX TPLEX and drive on all the way to Pagudpud and to the Cagayan Valley towns of Sta Praxedes, Claveria, Sanchez Mira, and Pamplona. 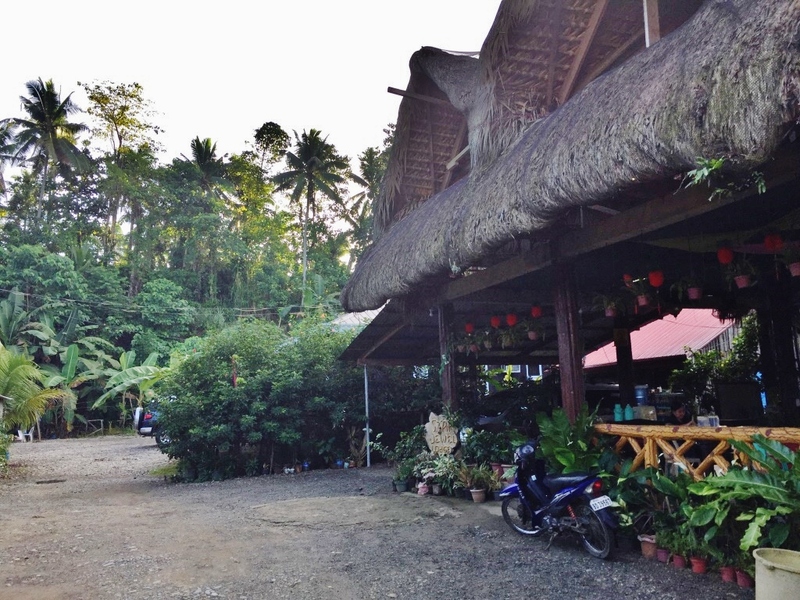 It is in Pamplona where there is a junction to Apayao with Luna as the first town. The late arrival, tired from travel, was met with a pleasant dinner of crabs and adobo, plus seaweeds salad, and bananas for dessert. 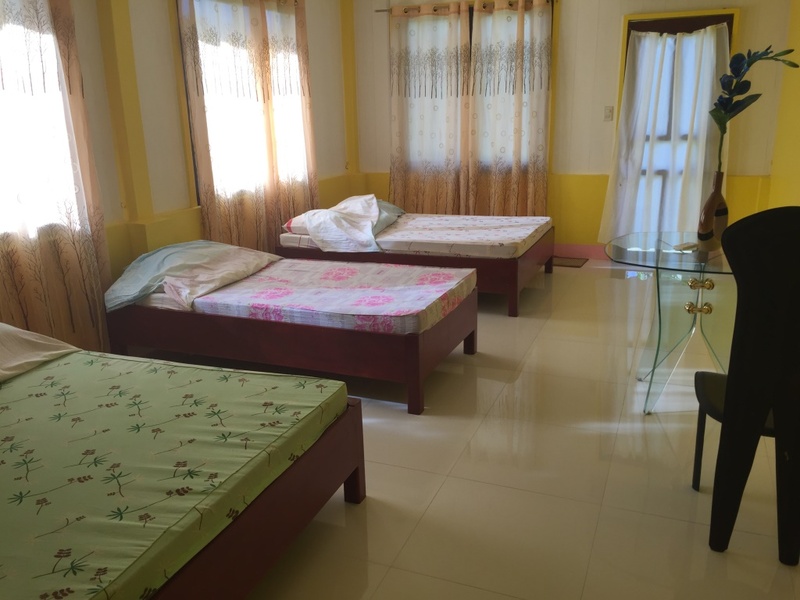 My room was clean and nice, I mean nicer than I expected since Apayao is a poor and remote province. My room had aircondtioning, a nice bed (actually 2 beds), a proper toilet with shower and toiletries. 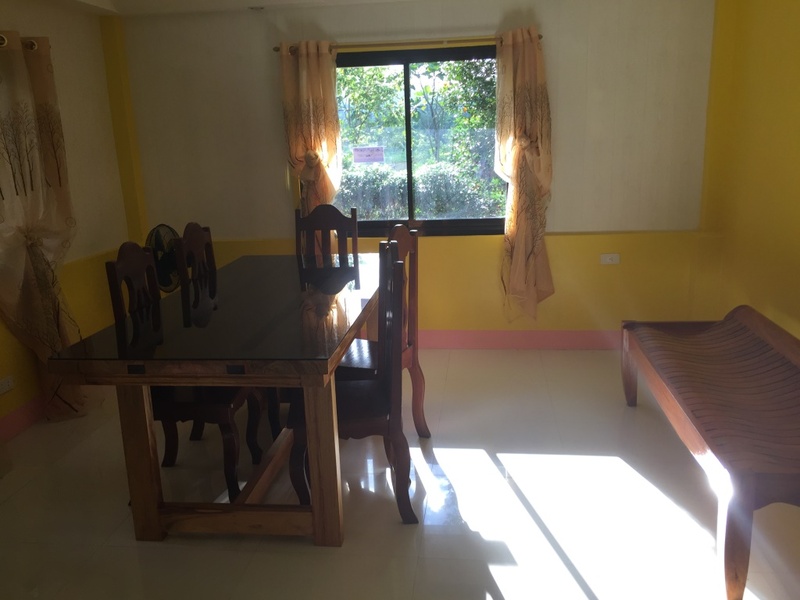 The common dining area was simple and folksy, complete with a videoke for visitors, at no extra charge. Coffee is always available and one only needs to get some from the thermos. Drinking water is purified. Breakfast can also be arranged, as I did. 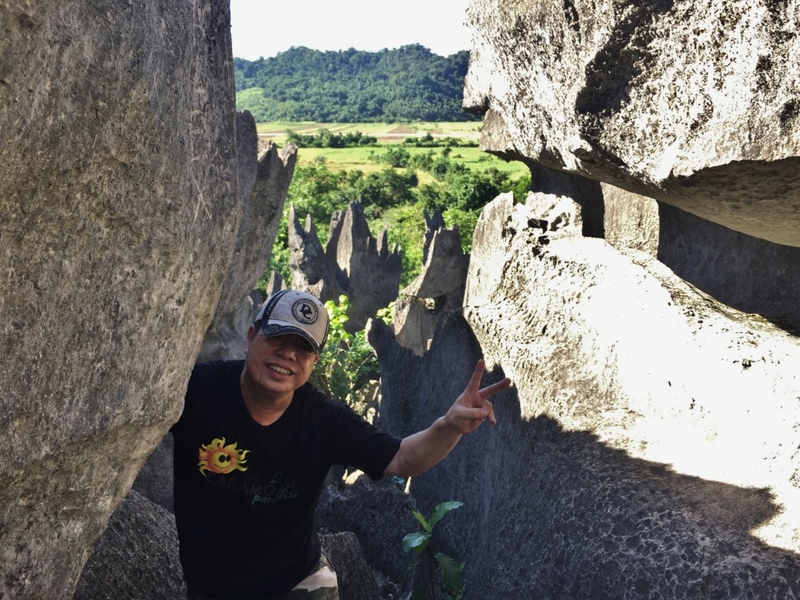 Exploring Apayao’s rock formations, underground rivers and other interesting spots will necessitae staying at Star Jewel at least two nights. Thus, plan your trip well, and book the nights you will need. Because you might otherwise have to stay somewhere with less than the comforts and atmosphere of Star Jewel. Josefina does not always have her mobile phone with her. So you need to persevere and keep calling. Better yet, send her a text message so you know you get your reservation across, and continue to call to confirm, if she hasn’t returned the call. 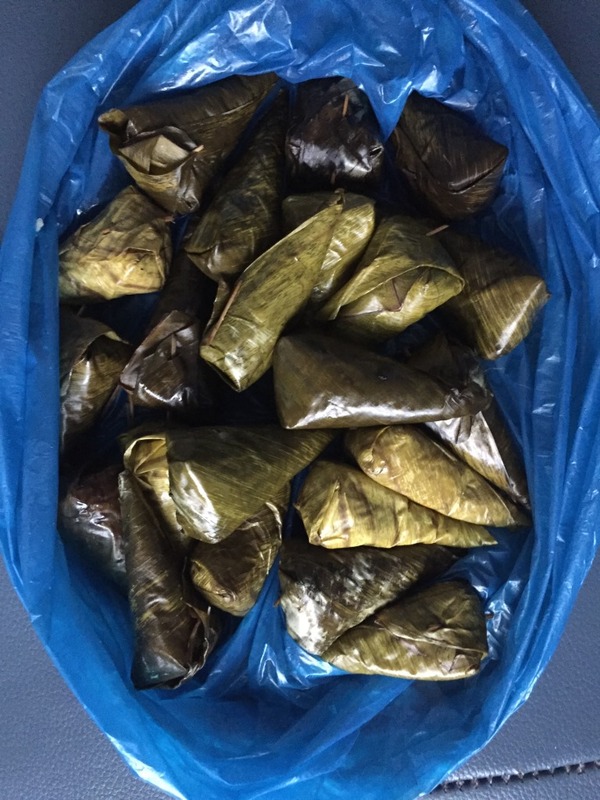 As I checked out after 2 nights for my long journey to Kalinga, Josefina gave me plenty of suman (rice cakes) as my baon. Wonderful, thoughtful lady indeed. I felt so enamored I wanted to review them on tripadvisor, but they were not listed. 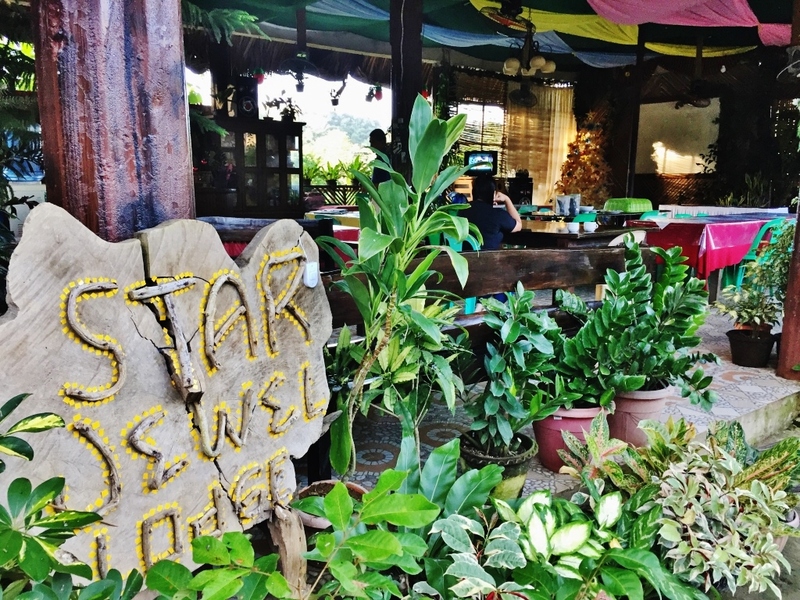 So I listed Star Jewel on tripadvisor and, hopefully, they will be so listed. I will be back to Star Jewel. For the suman. And for the warm welcome.